Tomorrow at 11:00 am, Ron DeSantis will be sworn in on the Capitol steps as the 46th Governor of the State of Florida. I met him once. 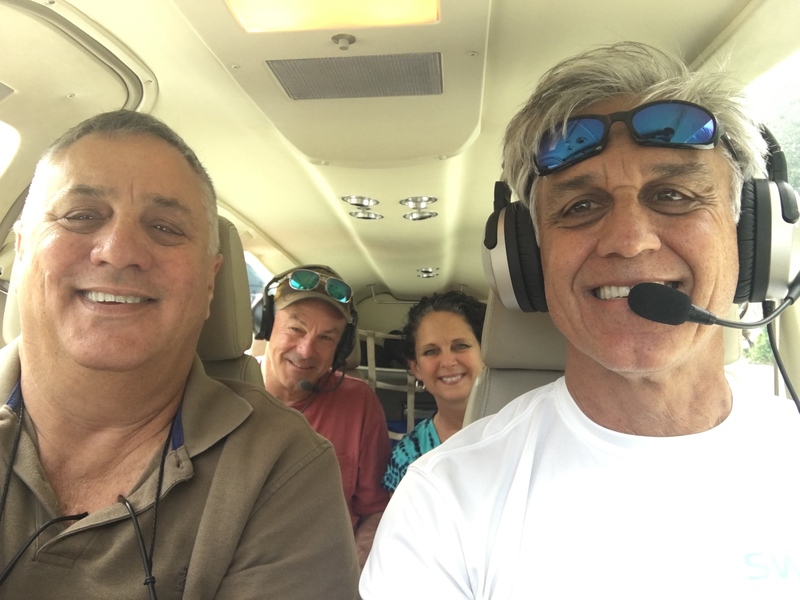 The date was August 20, 2018 and he and his wife Casey, had come to Stuart to see the toxic-algae water problems for themselves. 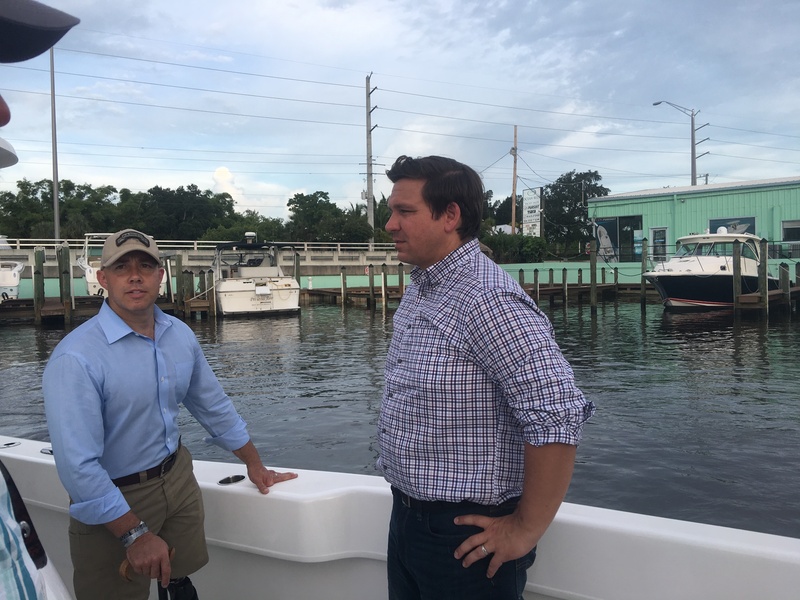 A boat tour had been arranged by Congressman Brian Mast’s office. The water was a disgrace, all explained why…. 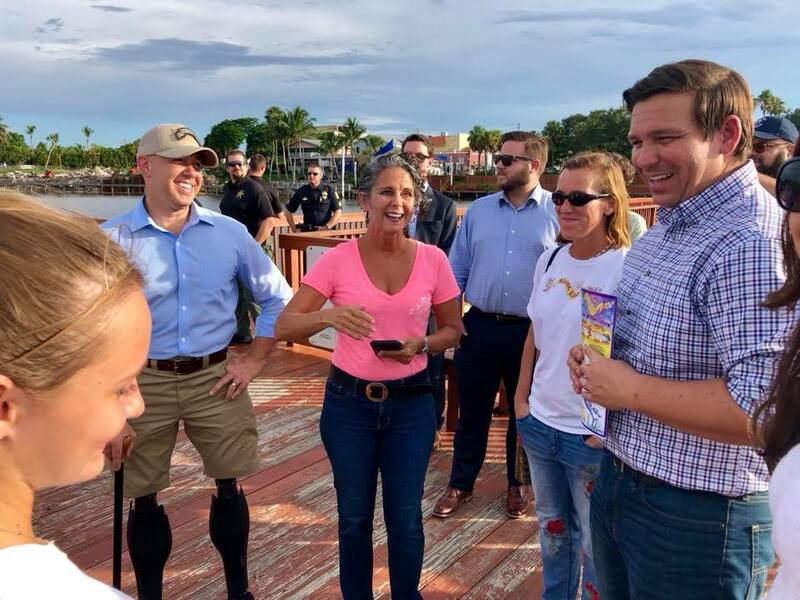 “Happy your’e here; not happy about the algae!” the River Kidz arrive to meet the DeSantises with River Mom, Cristina Maldonado, River Granny JTL, and Congressman Brian Mast. 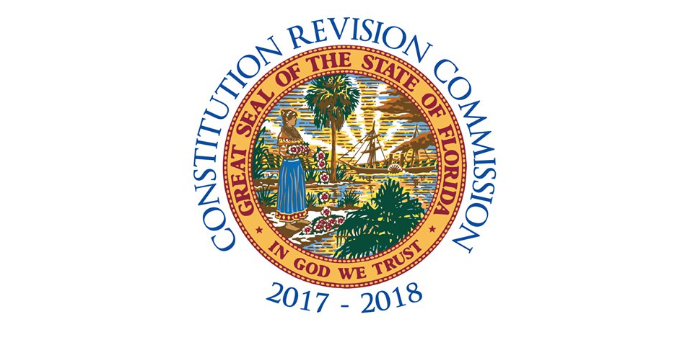 Tonight I am speaking for the first time in public as a commissioner of the 2017/18 Florida Constitution Revision Commission. I have been invited to present to the Martin County NAACP. Everyone is invited. I am very excited about this, and am sharing my notes so others who may not be able to attend can also be part. As this entire process is “historic,” I have decided to include this experiences on my blog. Please note this post is “in the Sunshine,” will be archived in my CRC email, and open to the public. All comments made will be public record. I am proud to present to the Martin County National Association for the Advancement of Colored People. 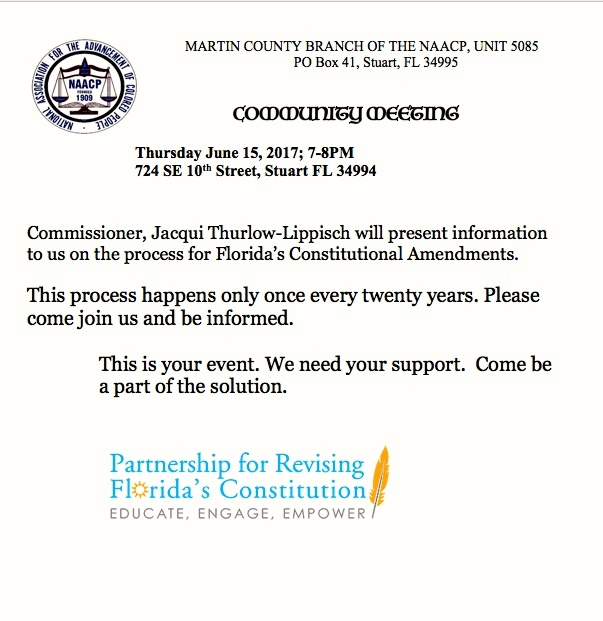 Getting involved in Florida’s 2017/2018 Constitution Revision Commission process will be rewarding! My name is Jacqui Thurlow-Lippisch. My family has been in Stuart since 1952, and I was part of the first desegregated class to attend Stuart’s Parker Annex, known today as J.D. 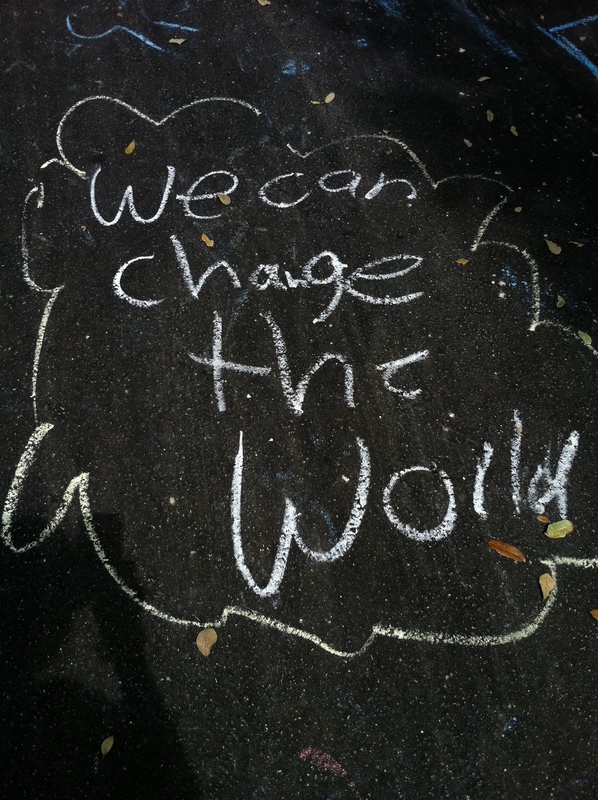 Parker Elementary. I have many friends in Stuart’s black community; I graduated from both Stuart Middle School and Martin County High School. 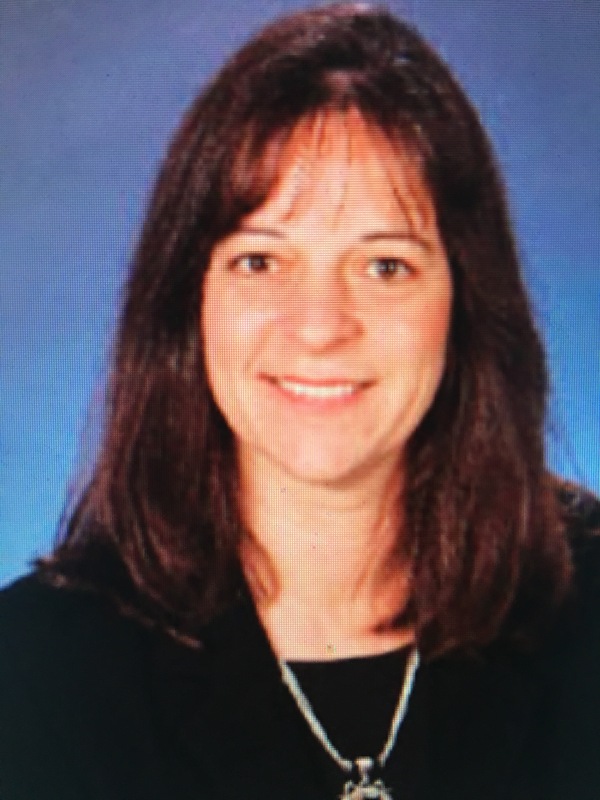 After graduating from the University of Florida and University West Florida, I worked as a public school teacher and as a real estate agent. In 2008, I ran for public office, and after a decade of pubic service as mayor/commissioner of Sewall’s Point, (as well narrowly losing a race for Martin County Commissioner in 2016) I was chosen by Senate President Joe Negron to serve on the 2018 Constitution Revision Commission, or “CRC” for short. Quite an honor! I am very thankful to Senate President Joe Negron for giving me this opportunity to serve the people of Florida and expand my experience. 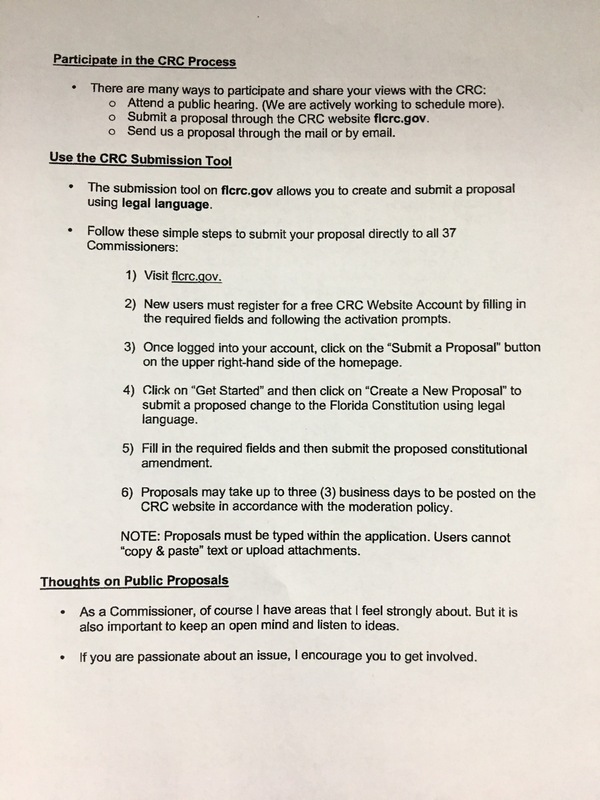 Today my goal for you is to briefly cover the CRC’s history; discuss the CRC “today;” and review how to submit a proposal to the CRC for consideration to go before the voters as a constitutional amendment, on the ballot, in November 2018. The handouts cover much more material than I will be able to cover in the next thirty minutes and are excellent resources. The history of the Florida constitution is the history of Florida itself. I recommend two books: Making Modern Florida, by Mary E. Adkins, and The Florida State Constitution, 2nd Edition, by Talbot “Sandy” D’Alemberte. Both are great resources on this subject. This did happened in 1966, leading to upheaval and redistricting, creating “modern Florida” and its 1968 constitution that is the basis of Florida today. So what is the CRC and why does it exist? Why does it happen only every 20 years? So since 1968, every twenty years, there is the possibility and encouragement, if needed, for constitutional change through the CRC process, so that the voices of the people will be heard and recorded. The CRC is made up of 37 people. 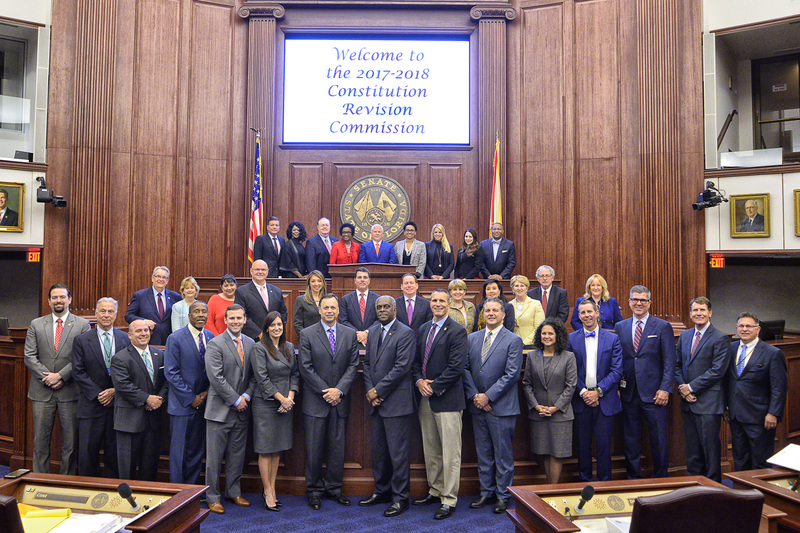 15 are chosen by the Governor; 9 by the President of the Senate, 9 by the Speaker of the House; and 3 by the Chief of the Florida Supreme Court; the Attorney General is automatically a member. 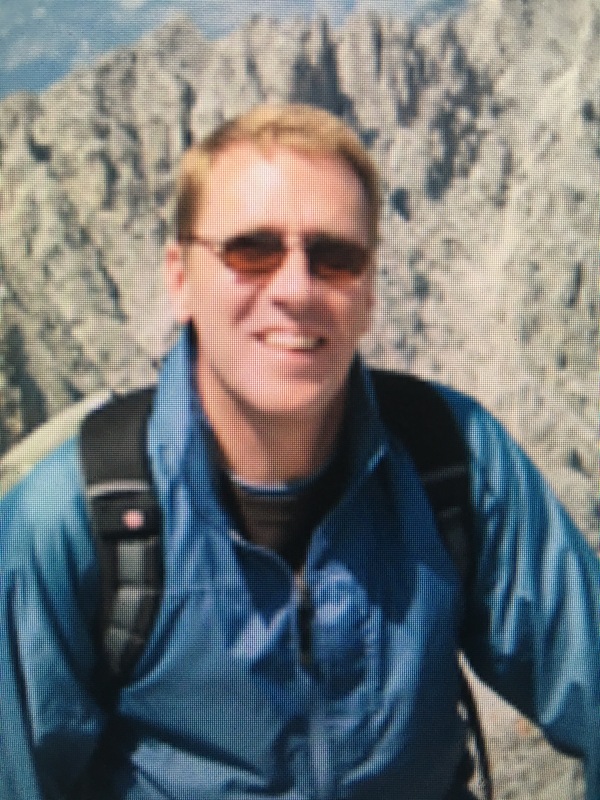 The chair, one of the governors’ 15, is Mr Carlos Beruff. I think it is a good representation for Florida, however, it must be noted that the commission like Tallahassee right now, is predominantly republican. We can see there are 22 men; 15 women; 14 minorities. 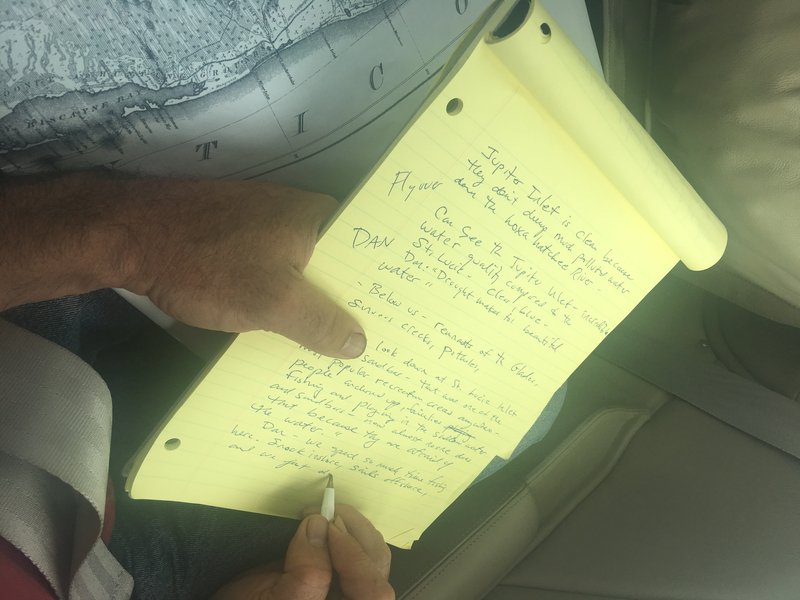 Other notes include 14 attorneys; 5 legislators; 3 former senators, 1 former house representative; 5 other elected officials such as sheriff, clerk, county commissioner, school board member and attorney general; at least 10 educators; including business owners and 3 developers. 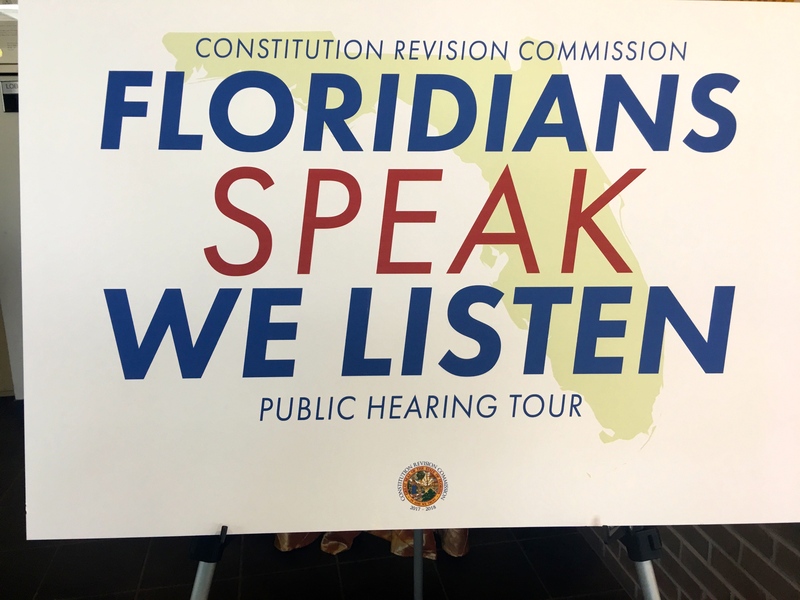 Over the past few months, the commission has held numerous public hearings entitled “listening tours” across the state and during this time the public has proposed over 400 unique proposals and 900 all together! ~Voting rights for ex. felons; Amd. 1 Art. 23, privacy and abortion; Legislature’s failure to implement the 2014 citizen’s initiative, Land and Water Legacy; open primaries; issues with write in candidates; insuring veteran’s health; clean water and air as a right; more solar energy; gun rights; gun control; transparency in government; equal rights amendment; right to assisted suicide; right to life; bear hunting; fair districts; non discrimination; independent redistricting; universal background checks/guns; home rule and local government; school choice; support of public schools; term limits for judges; no term limits for judges; cruelty to greyhound dogs/no racing…there are many more! In closing, I will share with you how you can submit a proposal and am happy to answer any questions. Just fill out the requited fields and walk through the prompts; you can practice before you publish. Second, ask yourself what would this change look like in the constitution itself? The wording? After finding the Article and Section, you will insert, and or redact language for your final product. So proposals can be submitted on-line, emailed; US mailed, or turned in by hand at a public meeting. 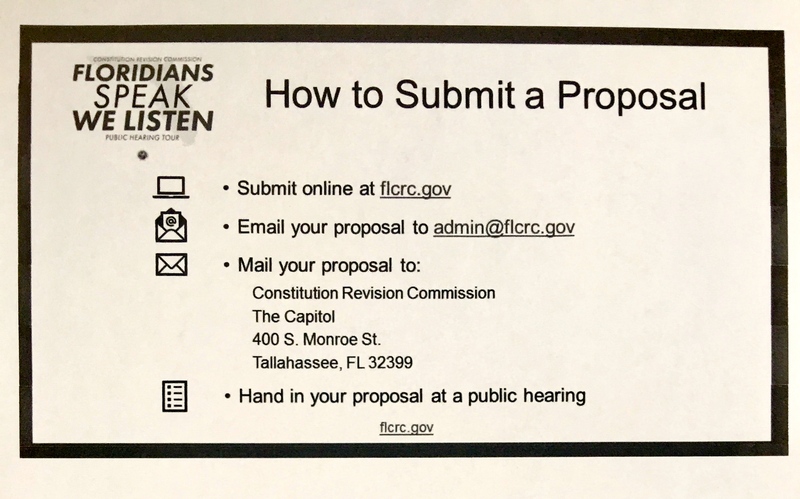 Once committees are in place, all proposals will be referred to the correct committee and here it will be determined if the proposal will go before the entire commission for a vote. So far there are more proposals than 1978 or 1998 and we are far from the finish line! 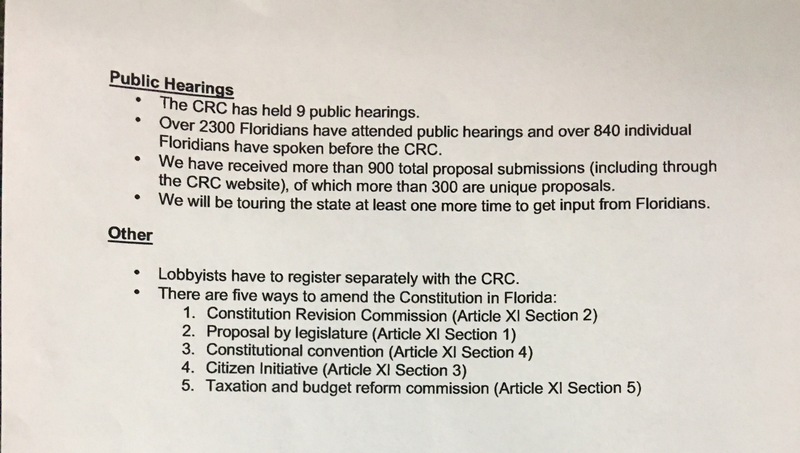 To give you an idea of past approval numbers: 1998 CRC, nine constitutional amendments went on the ballot and eight were voted and approved by the public to go into the Florida Constitution. 1978 CRC, not one put on the ballot made it. Back then the threshold was 50%; today it is 60%. The Constitution should not be changed easily! You, the voters, will decide! So thank you again, get involved and know I am here to help you with the process of making sure your voice is heard and Florida’s constitution is relevant, living and real. 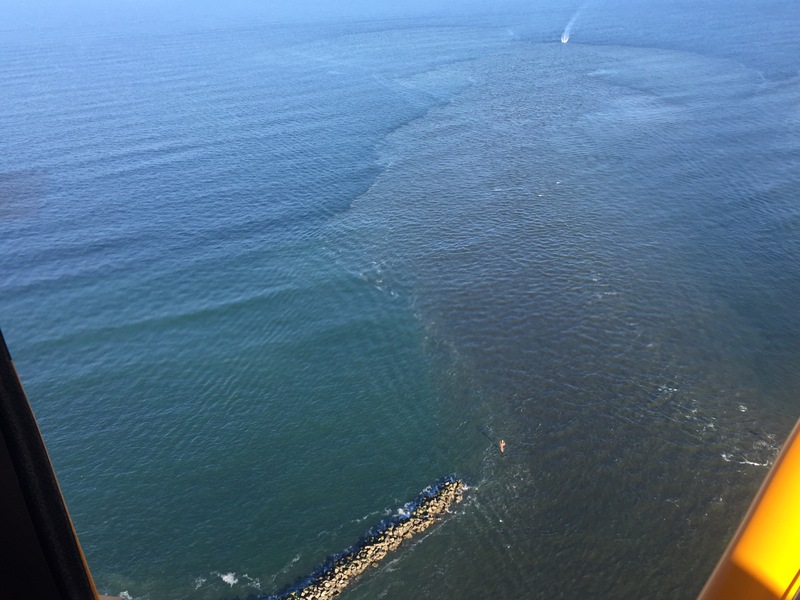 In the following article, I have attempted to summarize some of the voluminous literature on Lake Erie and its problem blue-green blooms, and how this might help to understand similar events in Lake Okeechobee. I have included URL web addresses for some of the topics, which can be used to access further information. Although the blooms are often referred to as blue-green algae, this is quite inaccurate and I can see no further point in perpetuating this misnomer. The blooms are largely or entirely composed of Cyanobacteria, or blue-green bacteria as I have chosen to call them for this article. This is not just for precision and to point up their lack of a nucleus and other organelles in each cell, but serves to underline how these organisms earn a living and perpetuate themselves that is quite different compared to nucleated organisms, the latter including algae, fungi, all green plants, and all animals. This difference is really important. The topic is vast and my review barely scratches the surface – it’s not meant to, because I am not an expert and am still trying to understand the vast complexity of blue-green bacterial bloom formation. 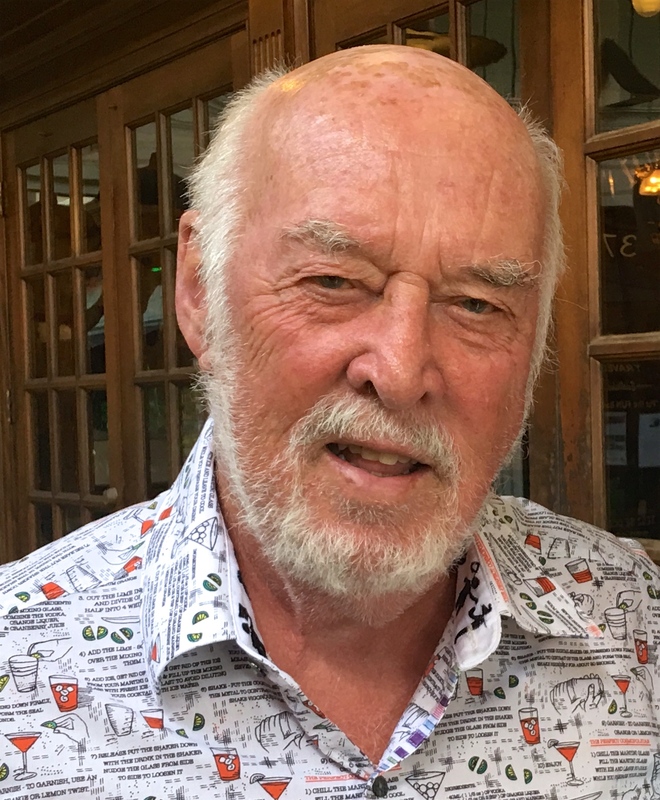 I have tried to unravel and clarify some of the science and scientific investigations that have been important for me, and have used these as examples of the work that is going on or has led to current advances. For every paper I have cited, however, there could be tens or hundreds more that haven’t been consulted or mentioned. I apologize in advance to those many talented scientists that I haven’t mentioned or that I am simply unaware of. I used to live in Hamilton, Ontario, a prosperous city with thriving iron and steel mills, other manufacturing industries, an excellent university and a great football team, a sort of Pittsburg of the North. It sits on the shores of Lake Ontario on a sliver of land – the Niagara Peninsula – that separates Lake Erie from Lake Ontario. In the early summer after the ice had melted, many of the locals in the mid-1900s would take advantage of the beaches along Lake Ontario to sun themselves and wait until the water was warm enough to swim in. However, you could get a head start on summer by taking a short drive south (less than an hour) to the beaches along Lake Erie where the water was warmer earlier in the summer, and resorts and tourism thrived. Fish were abundant and the lake was very productive for commercial fishing and equally attractive for sport fishing. The beaches were superb for tourism and sun lovers. Lake Erie is large but shallow (average depth about 60ft) and so a baby on a Great Lakes scale from a volumetric point of view (most of the Great Lakes are hundreds of feet deep, the deepest being Superior at more than 1300 ft maximum depth). However, Lake Erie’s smaller volume and shallow waters helped it to warm up quickly in the spring and summer. No more can they hum, for their gills are gummed. Very fortunately the mystery of Lake Erie’s “death” was soon solved, thanks to a treaty between the U.S. and Canada dating back to the early 1900s that acknowledged the need to maintain water quality in the Great Lakes’ waters bordering the two countries. By the middle of the 20th century this had morphed into the International Joint Commission for the Great Lakes. These international efforts were underpinned by government and university-based research in both the U.S. and Canada, which identified phosphorus entering the waters as a major contributor, particularly from agricultural fertilizers on the one hand and from domestic laundry detergents on the other. 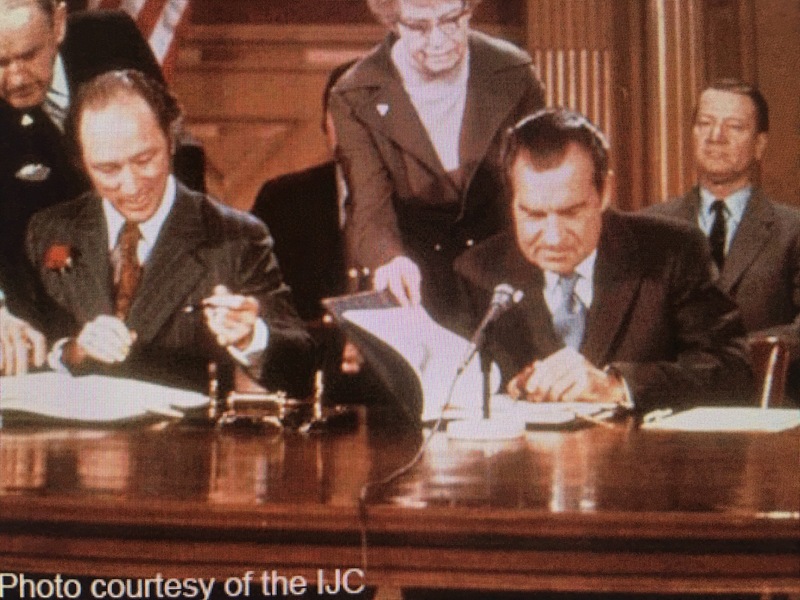 In 1972 the Great Lakes Water Quality Agreement (GLQWA) was signed between the United States and Canada, by Prime Minister Pierre Trudeau for Canada and President Richard Nixon for the United States. They loathed one another personally, but they knew what was the right thing to do for their countries. Prime Minister Pierre Elliott Trudeau and President Richard Nixon signing the Agreement. The Agreement emphasized the reduction of phosphorous entering lakes Erie and Ontario, and, in 1977, maximum levels for phosphorous were added to the Agreement. Also, phosphorus in laundry detergents was finally drastically reduced or banned. Coupled with the U.S. and Canadian Clean Water acts, the International Joint Commission did much to reduce the phosphorus levels in Lake Erie. For almost 20 years, Lake Erie was not plagued by the blue-green bacteria problem, but other problems did emerge such as exotic zebra mussels that interfered with the distribution of elements important in nutrition, but they seemed at the time to be unrelated to bacterial infestations. 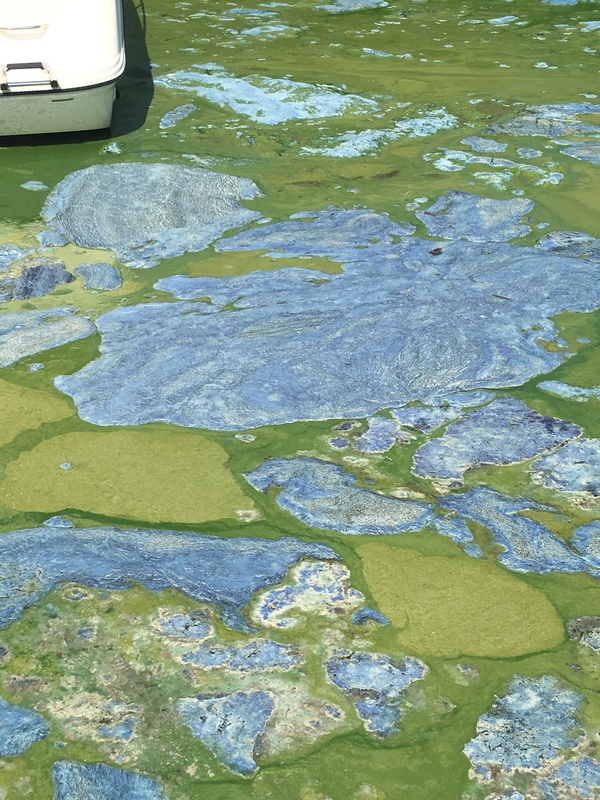 Then starting in the mid-1990s, the blue-greens reappeared and became progressively worse leading to super-gigantic blooms that choked the western end of Lake Erie with green muck inches thick and hundred of square miles in extent. Dead zones – biological black holes – reappeared in the Lake as the rotting organic matter sucked the oxygen out of the water, promising certain death to animals that ventured in. In the summer of 2011 the mother of all blue-green bacterial blooms exploded in Lake Erie, the bloom at its peak being more than 1900 square miles in extent. That is more than 50% greater than the entire state of Rhode Island, or 35% larger than Long Island, or more than six times larger than all of New York City’s five boroughs. This super-giant bloom had an estimated weight of 40,000 metric tons dry weight. The wet weights of algae and blue-green bacteria are generally at least 10 times the dry weight. So, this supergiant bloom had at least half a billion tons of blue-green bacteria living within it – a true monster. MODIS (Moderate Resolution Imaging Spectroradiometer) satellite Image of Lake Erie on September 3, 2011, overlaid over map of Lake Erie tributaries. This image shows the bloom (in green) about 6 weeks after its initiation in the western basin. From Michalak et al, 2013. These blooms had a devastating effect on the areas flanking the western end of Lake Erie – Ohio, Michigan, and Ontario – with large agricultural areas and several major cities and industrial towns. Toxins from the blue-green bacteria polluted the drinking water supplies of large cities, and potable water had to be trucked in for the residents. In his presentation Prof. Bridgman showed how increasing phosphorus in the lake water favored the blue-green bacteria and shut out the normal tiny floating plants (true algae), a situation that had culminated in the American Dead Sea catastrophe of the 1960s. The international agreement on phosphorus reduction in the Great Lakes was a huge success story for Lake Erie, but by the mid 1990s algal biomass was beginning to increase again (eutrophication was returning), and by the early 2000s blue green bacteria such as Microcystis were increasing ten-fold, as the reactive phosphorus in the lake waters increased beyond levels recorded in the 1970s. What the heck was going on here? Everyone had played their part in reducing phosphorus run-off from agricultural lands, and the municipalities and citizens had cleaned up their act. So where was the phosphorus coming from? Well now the plot thickens. This time, the main problems are thought to be ones that governments have much less direct control over, according to a file posted by Emily Chung of the Canadian Broadcasting Corporation News (2014). To some extent, they include the application of fertilizers to lawns and golf courses, growing expanses of pavement in urban areas that cause water to drain more quickly into waterways without being filtered by vegetation, and invasive zebra mussels that release extra nutrients into the water as they feed. But those aren’t thought to be the biggest cause. “We think farming is the major culprit behind the current levels of phosphorus that’s in runoff and the phosphorus loads that are getting dumped into the western basin of Lake Erie,” said Dr. Glenn Benoy (senior water quality specialist and science adviser with the International Joint Commission in Ottawa). So why is this? Well, there are several things going on. Firstly, corn production is at an all time high because of the push to increase alcohol biofuel production, and soybeans are being produced in gigantic quantities for use as animal feed, oil and protein for human consumption, plastics and biodiesel. Secondly, the introduction of no-till farming practice in the U.S. has led to increased run-off of fertilizer. Thirdly, there’s just not enough infrastructure to deliver in the spring the huge amounts of fertilizer that are required by the corn farmers. 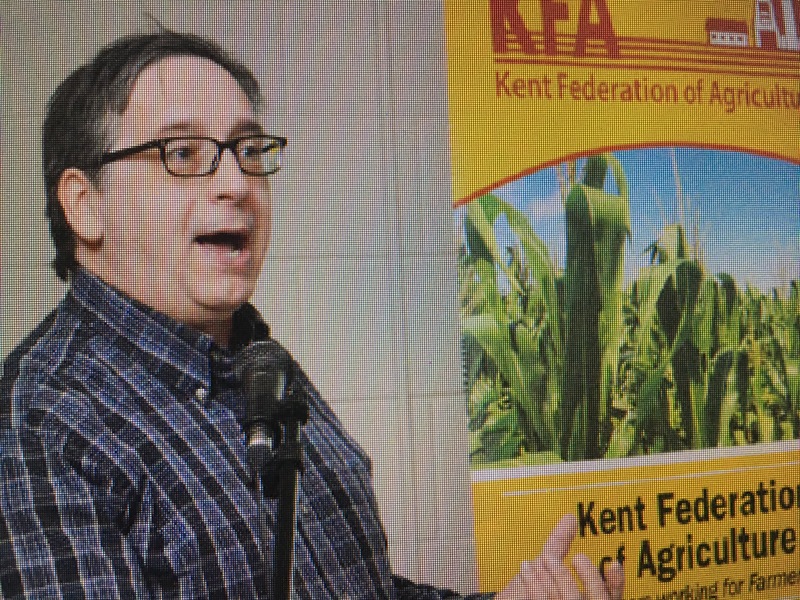 Prof. Ivan O’Halloran of Guelph University, Ontario and a specialist in soil fertility and nutrient use commented that the demand by corn farmers is such that there are simply not enough rail cars to satisfy the need. So companies offer discounts to farmers who are willing to apply fertilizer in the fall, which in turn leads to enhanced run-off of phosphorus during the winter storms. And then there is the matter of no-till farming. No-till farming (also called zero tillage or direct drilling) is a way of growing crops or pasture from year to year without disturbing the soil through tillage, and in current practice depends on the use of powerful herbicides such as glyphosate (Monsanto’s Roundup brand being the most popular formulation). Application of glyphosate kills weeds and other vegetation in preparation of the seedbed. Later in the year, another application of the herbicide is used to reduce weeds that might be harming the crop. However, this is only possible if the farmers use genetically modified seeds that are resistant to glyphosate – often referred to as Roundup Ready seeds. In 2014 in the U.S. 98% of soybeans and more than half of corn was Roundup Ready. Advocates of Roundup point out that glyphosate is a compound derived from phosphonic acid in which the phosphorus is strongly bonded to carbon and therefore is not available to plants, unlike fertilizer which contains phosphates (not phosphonates) which has phosphorus bonded less strongly to oxygen, and is therefore more readily available for uptake by plants (often referred to by the acronym DRP – dissolved reactive phosphorus). 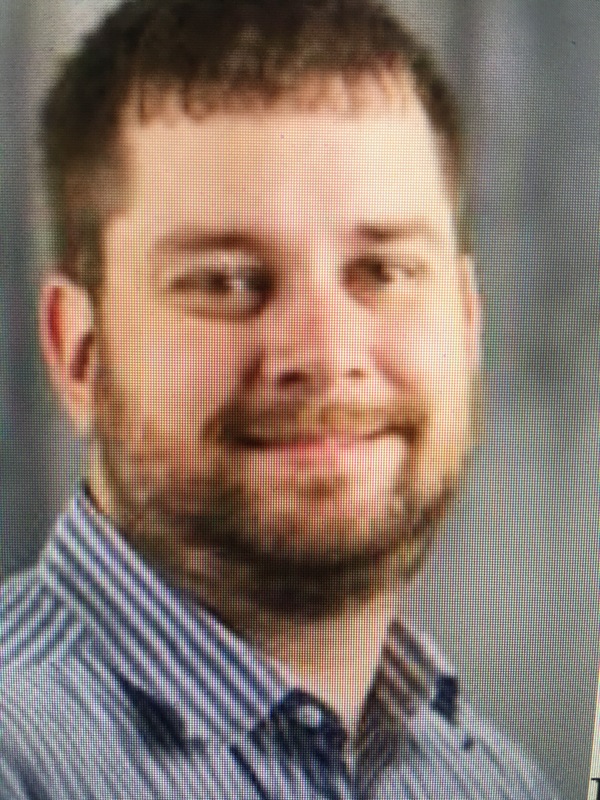 Prof. Chris Spiese is a chemist at Ohio Northern University and he decided to test the contribution that glyphosate might make to the amount of dissolved reactive phosphorus running off of cultivated fields. 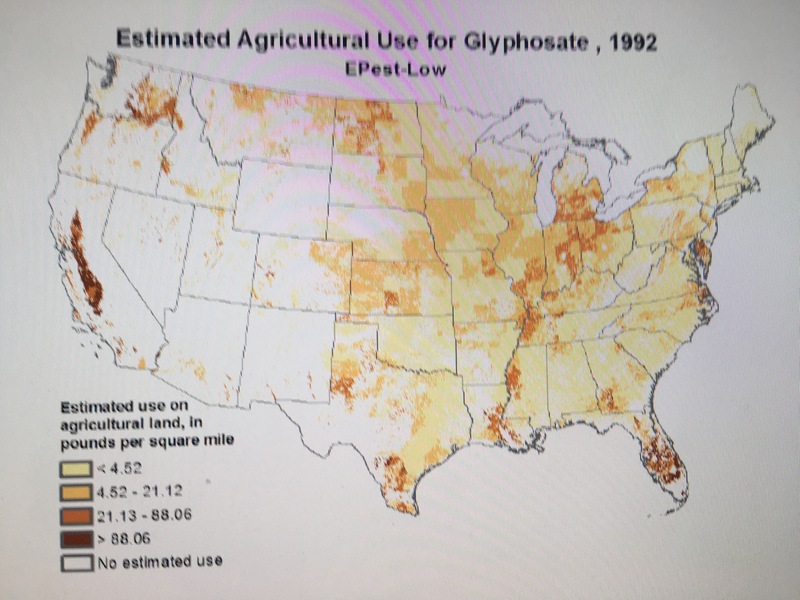 He found that glyphosate acts on the soil to allow the phosphorus bonded to the soil (either being naturally present or due to fertilizer use) to be released by the chemical process known as desorption. He also found that soils richer in both iron oxides and iron hydroxides tend to release by desorption more phosphorus, as do soils that are more acidic. Overall, he calculated that glyphosate is responsible for releasing 20-25% of the dissolved reactive phosphorus in the Maumee watershed, a river discharging into the western end of Lake Erie. Prof. Spiese calculated that for every acre of Roundup Ready soybeans, one-third of a pound of phosphorus comes down the Maumee River. In 2010, according to the Ohio Soybean Council, 4.6 million acres were planted in soybeans, of which about 2 million acres of soybean fields drain into Lake Erie. If Prof. Spiese’s calculation for the Maumee watershed hold true for all the soybean acreage in Ohio draining into Lake Erie, this would suggest that each year hundreds of tons of dissolved reactive phosphorus are entering the Lake from this source alone. And then there are the other states and provinces bordering Lake Erie that are also involved in soybean production: Ontario 2 million acres; Michigan 1.5 million acres; NW New York, 1/3 million acres; Pennsylvania 1/2 million acres. Of course, not all these agricultural lands drain into Lake Erie but these numbers give some idea of potential dissolved reactive phosphorus input related to soybean production alone. 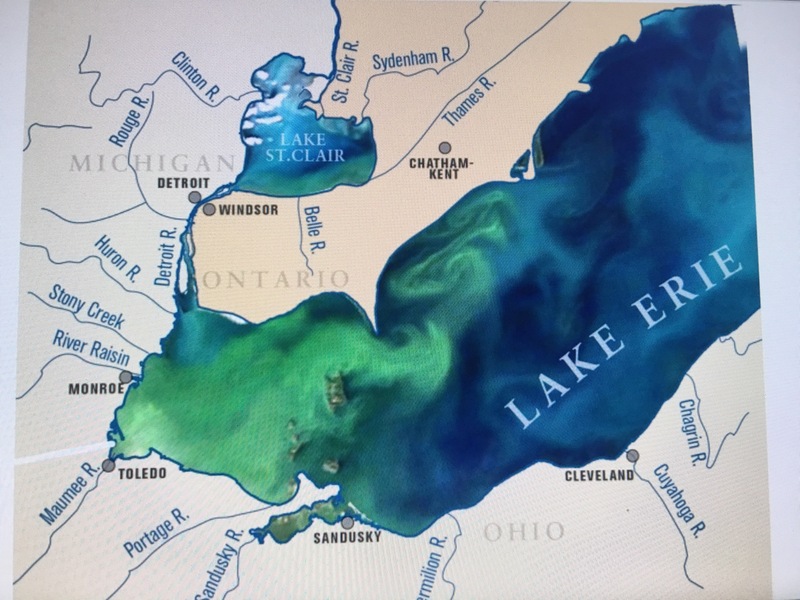 The super-giant blue-green bacterial bloom of 2011 in Lake Erie required a concerted response from the scientific community to understand just why this had happened. There was no doubt in scientists’ minds that dissolved reactive phosphorus as run-off from agricultural land was a major factor. But why should a super-giant bloom happen in 2011 and not in 2012 when the same agricultural land and its phosphorus run-off were still flanking the Lake and continued to be a constant factor? Something else was involved. 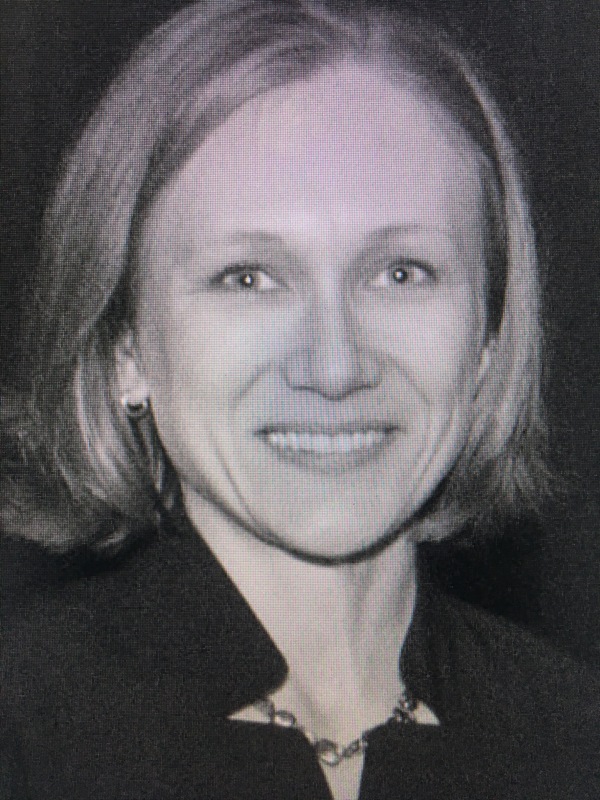 So an elite team of scientists from universities, government laboratories, and industrial laboratories got together to investigate, headed up by Prof. Anna Michalak of Stanford University. In 2013 this team of 29 scientists came up with their report, which was published in the prestigious Proceedings of the National Academy of Sciences. The team concluded that long-term trends in agricultural practices (e.g. no-till farming) plus increased acreage under intense cultivation (notably soybeans and corn) led to a major pulse of phosphorus into Lake Erie during some unusually intense spring rainstorms in 2011. Then in the late spring and summer unusually quiet but warm weather conditions provided just the right conditions to seed, incubate and grow the bloom in the waters of Lake Erie. The team stated “If a scientifically guided management plan to mitigate these impacts is not implemented, we can therefore expect this [super-giant blue-green bacterial] bloom to be a harbinger of future blooms in Lake Erie.” – because unusual weather events, lower wind speeds, warmer waters, and higher rainfalls are becoming more common and can be expected in the future. Recent work by scientists at Bowling Green State University has reported the presence of glyphosate in Lake Erie. It is evidently washing out of the no-till crop fields, and reaches a maximum in the summer months. Also it has been found in water treatment plants, peaking in the summer months. 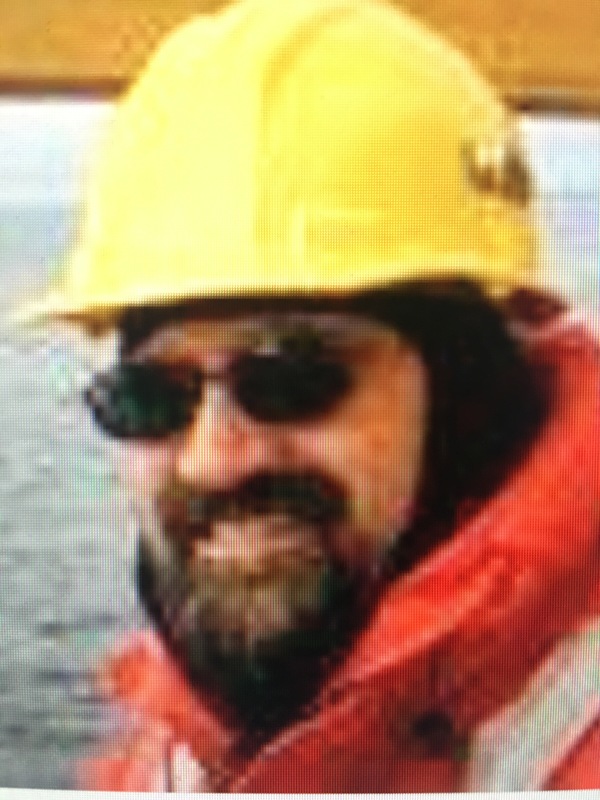 Prof. McKay and his colleagues raised the possibility in 2010 that the presence of glyphosate in Lake Erie together with phosphates from fertilizers tend to stimulate the growth of blue-green bacteria, whereas phosphates alone do not do this but favor diatoms, a normal algal component of Lake Erie. It seems that blue-green bacteria can utilize the phosphorus in the glyphosate, which was believed to be otherwise not normally bio-available. 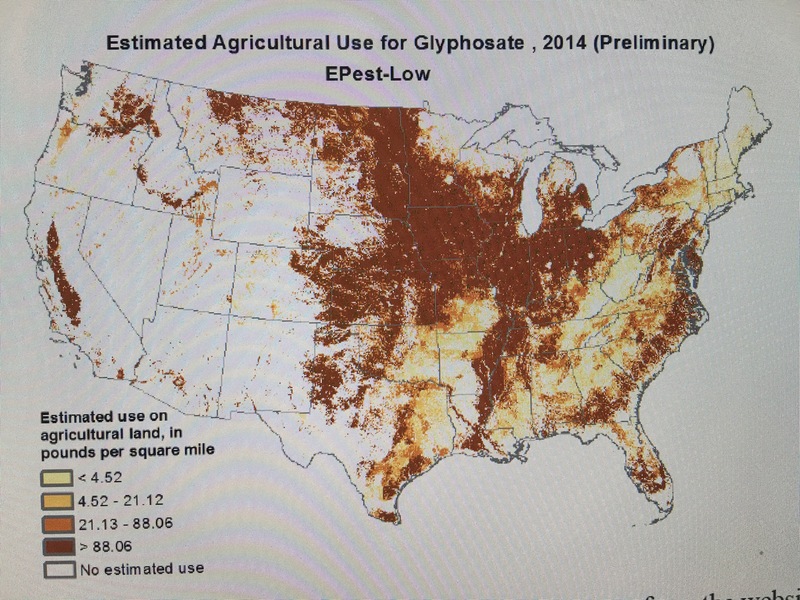 Many questions remain to be answered but the intense use of glyphosate in the area around Lake Erie demands rapid action in the very near future to establish just how much glyphosate is involved in blue-green bacterial blooms. 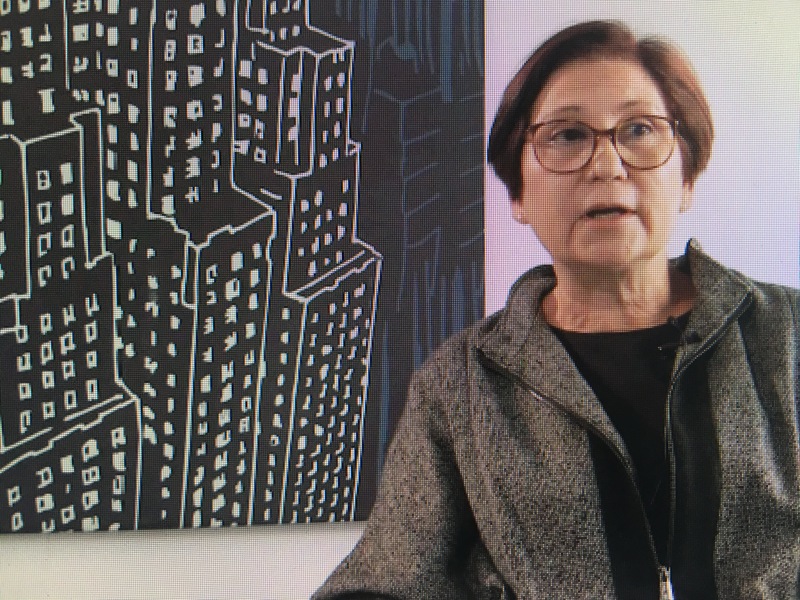 An even more disturbing piece of microbiological and genetic research was done by Prof. Victoria López-Rodas in Madrid together with other Spanish colleagues in 2007. They studied Microcystis, one of the bad boys of the blue-green bacteria family. They found that rare mutations during growth and division of cells could clone a glyphosate-resistant strain that could survive in glyphosate polluted waters. In other words, Microcystis has the potential to develop into a “superbug” unaffected by glyphosate. The odds of a mutation like this occurring were calculated to be a few times in 10 million by Prof. Lopez-Rodas’ team. That’s better than the odds for winning the Jackpot in the Florida Power Ball Lottery (1 in 292 million), but still not great. If you bought hundreds of millions of ticket in the lottery, you would have a good chance of winning at least once, perhaps several times (but at $2 a ticket you financial advisor might have some things to say to you about your investment strategy). However, given a little phosphorus and nitrogen, Microcystis can keep on dividing trillions and trillions of time to form blooms in warm water. With such astronomical numbers, a rare mutation becomes a virtual certainty at some point during cloning, and in the presence of an antibiotic such as glyphosate, a superbug is born. So far the emphasis has been on phosphorus and how it is important in blue-green bacterial bloom formation. But nitrogen is also very important as a nutritional component for blue-greens and indeed for all life. Green plants need nitrogen to synthesize proteins and other important components in their cells. Although nitrogen is abundant in the atmosphere, it is an inert gas and simply unavailable as a nutrient for many green plants. It needs to be combined with hydrogen (as an ammonia compound) or with oxygen (as a nitrate compound) to be absorbed by the plant. These nitrogen compounds may be naturally occurring in soil, but in agricultural land they need to be added frequently as fertilizer for crops to thrive. Blue-green bacteria have an advantage over green algae and other green plants because some blue-greens have the ability to synthesize nitrogen compounds directly from gaseous nitrogen – they are said to be able to “fix” the nitrogen. But some other blue-green bacteria are unable to fix the nitrogen and have to depend on another source. Microcystis is a case in point (the blue-green bacteria that are often dominant in the giant blooms in Lake Erie and Lake Okeechobee). Microcystis is highly dependant on a source of nitrogen to thrive. This can of course be provided by run-off from crop fertilizer, but it does not always explain the fluctuations of this and other blue-green bacteria that have or do not have nitrogen fixation ability in Lake Erie, in spite of the fact that the experts all agree that phosphorus – not nitrogen – is the principal limiting factor. 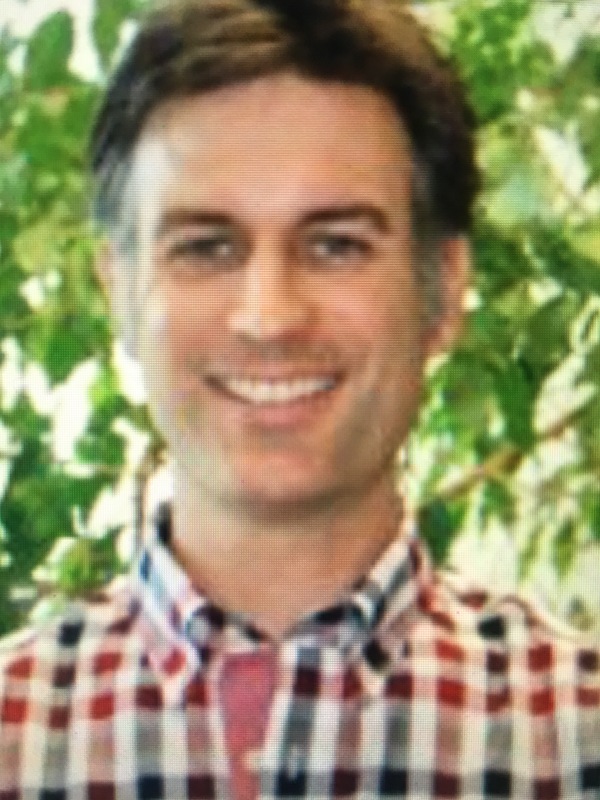 Lucas Beversdorf and colleagues at the University of Wisconsin decided in 2010 to try and solve the problem and improve predictability of toxic blue-green episodes in a beautifully designed and detailed study of Lake Mendota, Wisconsin a much smaller lake (15 square miles) than Lake Erie but about the same depth and with similar temperate seasonal weather patterns. They found that Microcystis (blue-green non-nitrogen fixer) rode on the back of Aphanizomenon (blue-green nitrogen fixer) in a nutritional sense. Without the nitrogen fixer doing its work first in the spring, Microcystis as a non-nitrogen fixer could not attain dominance and pollute the water with toxic microcystin in the summer. This could be relevant to understanding how the blooms that occurred in the mid-20th century in Lake Erie came about, both Microcystis and Aphanizomenon being important contributors to large blue-green blooms at that time. It could also be important in predicting when blooms can be expected. 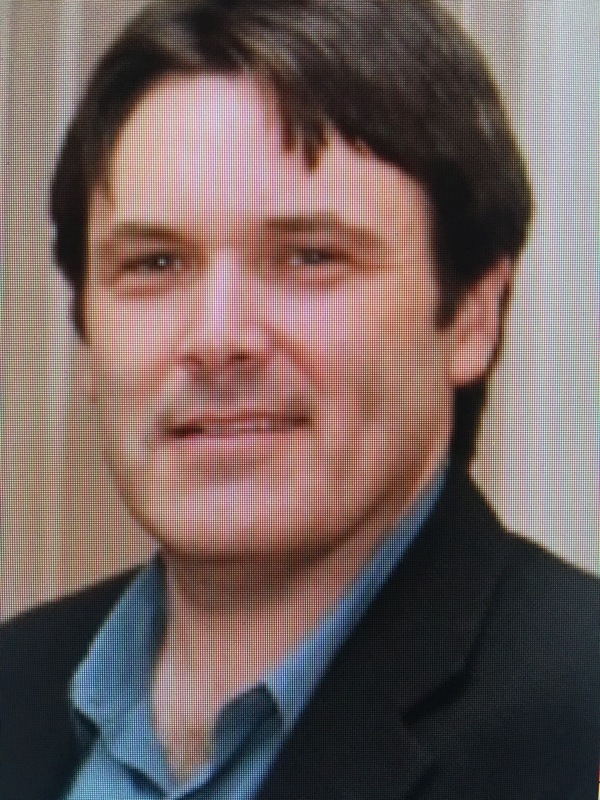 Prof. Karl Havens, a biologist at the University of Florida (and formerly of the South Florida Water Management District) has discussed the implications of nitrogen and phosphorus as nutrients for blue-green bacteria in Lake Okeechobee, and the need to reduce both given the physical and biological complexities in a shallow lake. It has been known for some time that non-nitrogen fixing bacteria are highly competitive when it comes to ammonium compounds in freshwater lakes, possibly explaining why Microcystis and similar blue-green bacteria do achieve dominance in the blue-green blooms when in proximity to agricultural run-off. 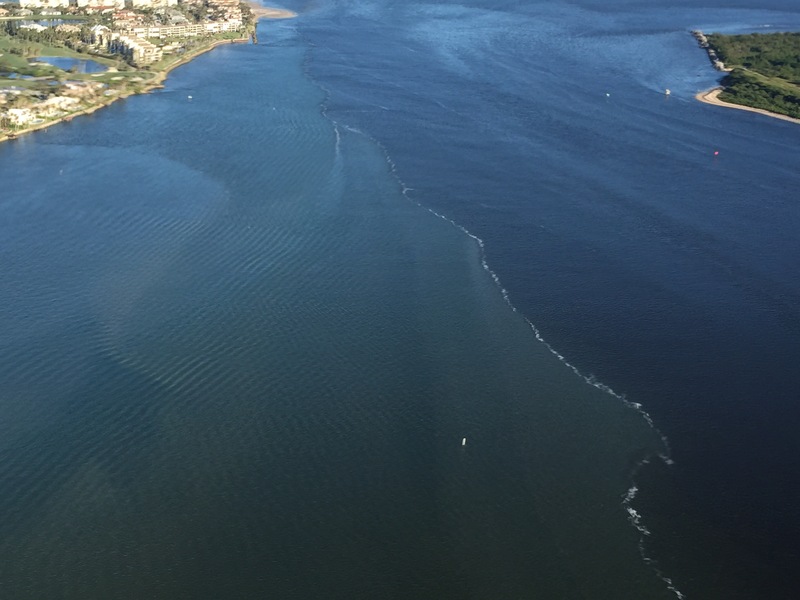 Researchers are looking for ways to monitor assess and predict algal blooms of all types. 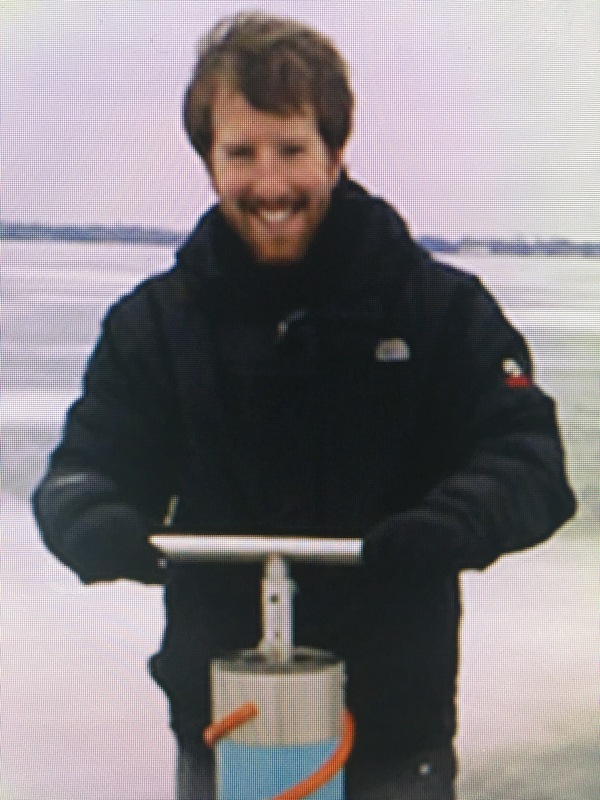 This can be done by sampling the lake waters and analyzing them for various organisms and chemical compounds, such as Dr Beversdorf did for his detailed study of Lake Mendota. However, in very large lakes such as Lake Erie the shear size of the lake makes rapid response to a growing giant algal bloom impossible. Prof. Joseph Ortiz of Kent State University, Ohio has been actively involved in developing new ways to gather information on giant blue-green bacterial blooms using an instrument on board the International Space Station. From space it can image all of Lake Erie in two days – remember Lake Erie is about 9,900 square miles (241 miles long, 57 miles wide). He uses a technique called hyperspectral visible derivative spectroscopy, quite a mouthful but very important. 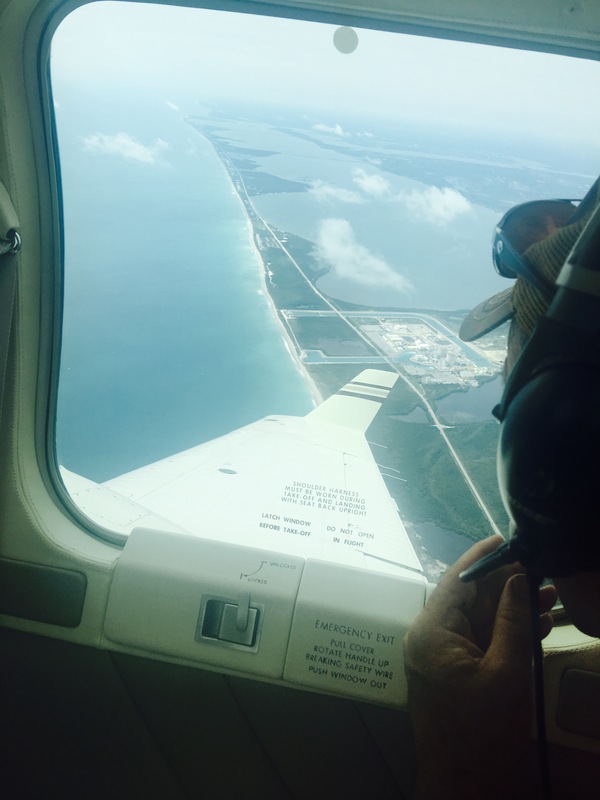 The hyperspectral imager works in orbit about 220 miles above the Earth’s surface and transmit the results to Dr Ortiz who uses sophisticated analytical methods to identify various types of algae and bacteria in the lake water. In August of 2014 the City of Toledo shut down its water supply because of contamination by blue-green bacterial toxins (microcystin), which made it undrinkable for 400,000 residents, confirming the astonishing power of this predictive method. Just imagine if the same planning “logic” had been applied to Lake Erie as has happened with Lake Okeechobee. 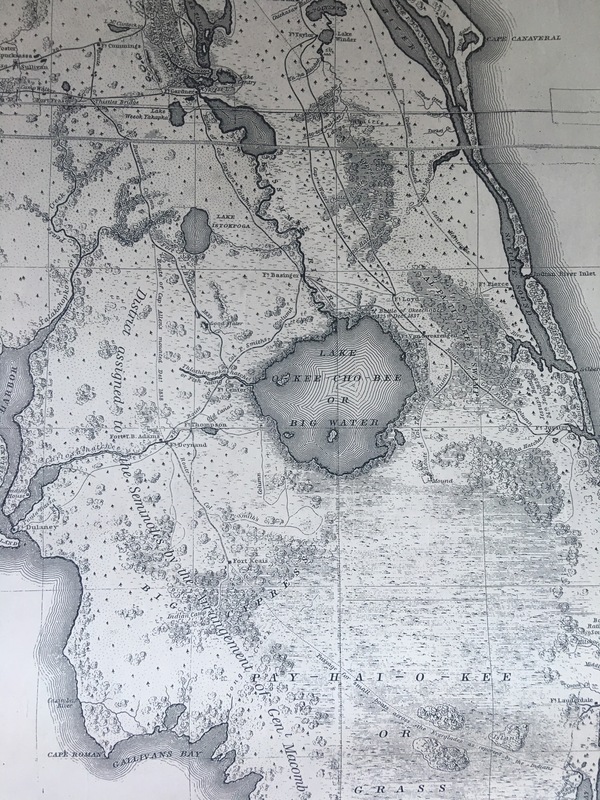 In the case of Lake Okeechobee, agricultural interests took over an Everglades river and associated sawgrass wetlands to drain them for use as sugar plantations. To do this the ancient course of an Everglades river was disrupted by damming its 25-mile wide outflow from Lake Okeechobee, upstream from the Everglades Agricultural Area. In so doing the lake level rose because it had no other natural outlet. Therefore higher shoreline dike construction was needed (the Herbert Hoover Dike) to impound the water to prevent flooding of the adjacent land. All this destroyed a large part of the Everglades, a natural wonder of the world designated an International Biosphere Reserve and a World Heritage Site by UNESCO and a Wetland of International Importance. The “river of grass” in the Everglades became starved for water. 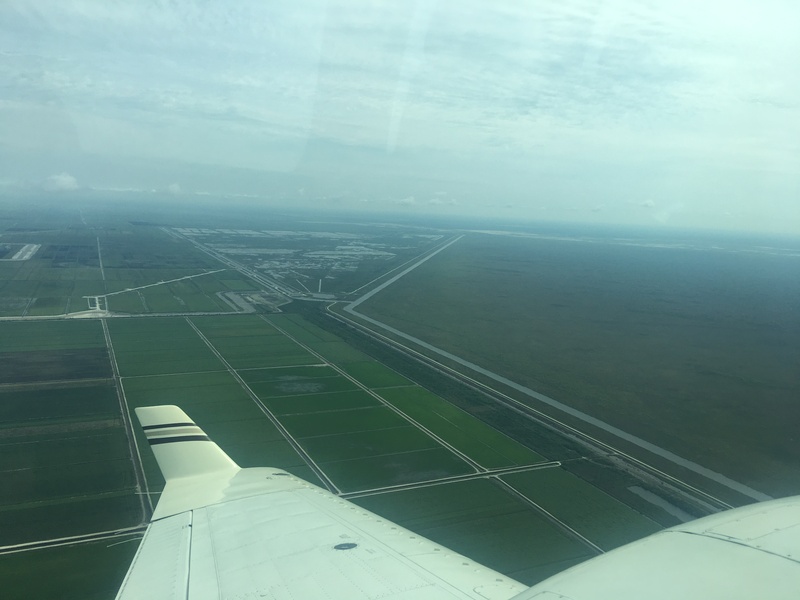 Meanwhile, the Kissimmee River feeding into Lake Okeechobee and draining another agricultural area was straightened and canalized to remove those annoying meanders that characterize river systems as they approach local base level (the lowest point to which a river can flow). The straightened channels thus allowed rapid fertilizer run-off from the fields, preventing filtering and bio-cleansing in the natural wetland vegetation of the flood plain meanders that would otherwise exist, further contributing to heavy phosphorus loading in Lake Okeechobee and the consequent blue-green bacterial blooms. The straightened channels also contributed voluminous extra water that the lake could not handle. Therefore, the lake managers and flood controllers (the Army Corps of Engineers) directed the overflow waters down a number of canals with outlets to the highly populated Atlantic and Gulf coastlines and the sea, the overflow water being heavily polluted with blue-green bacteria from the giant blooms that grew in the lake. So let’s work this through for our imaginary Niagara Gorge Agricultural Area, a 7-mile stretch that would be ideal land for growing grapes and other fruits in a valley just below Niagara Falls. Once drained, the imaginary agricultural area would eventually develop lime-rich soils, which would be perfect for high quality wine grapes, and would be similar to the soils in the adjacent Niagara Wine Country. The fruit would be sheltered from the worst of the Canadian winter that might otherwise be unfavorable for growing and ripening the grapes. 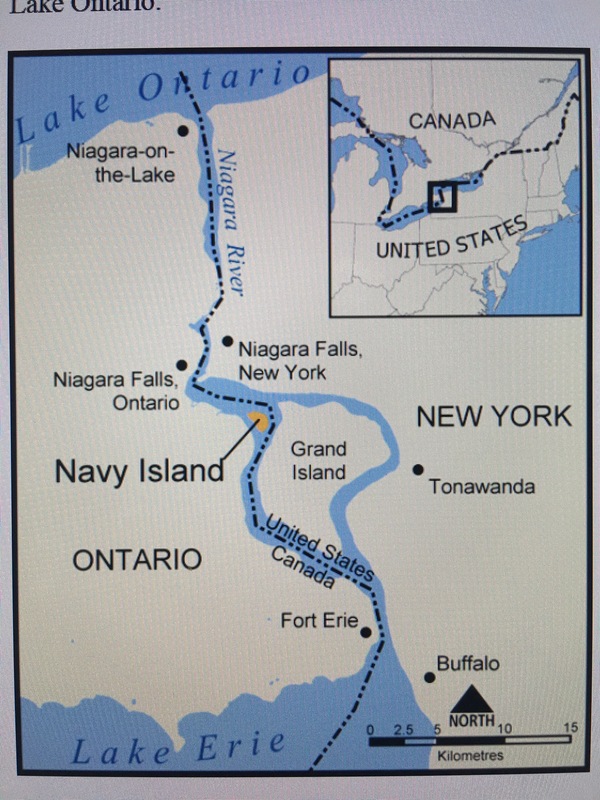 There would be one big problem: there is too much water in the Niagara Gorge, which transports the Great Lakes waters through the Niagara River into Lake Ontario. So, the imaginary managers deemed that a dam would be necessary across the Niagara River upstream from Niagara Falls to divert the water elsewhere, and help to drain the Gorge. They knew this would be entirely possible because the Army Corps of Engineers had dammed the Niagara River once before to make repairs to the Falls, back in 1969. Of course, the magnificent Niagara Falls, a real wonder of the world, would cease to exist. Meanwhile, the Lake Erie water level would start to rise and bigger and better dikes would be needed, particularly around population centers such as Buffalo, Cleveland, Toledo, and Detroit, to prevent flooding. This in turn would raise the base level of the inflowing rivers and they would back up and tend to flood more frequently. The imaginary managers decided to straighten the meander channels of the rivers to allow quicker drainage, but this in turn sent a high discharge of agricultural phosphorus run-off into the Lake. The higher loading of phosphorus triggered gigantic blue-green bacterial blooms. Clearly an outlet would be needed for the imaginary re-engineered Lake Erie high-level water, so the imaginary lake managers decided to discharge the lake water somewhere else. Very fortunately, an older structure – the Erie Canal – still existed and would be ideally suited for modification to act as a spillway or overflow channel. 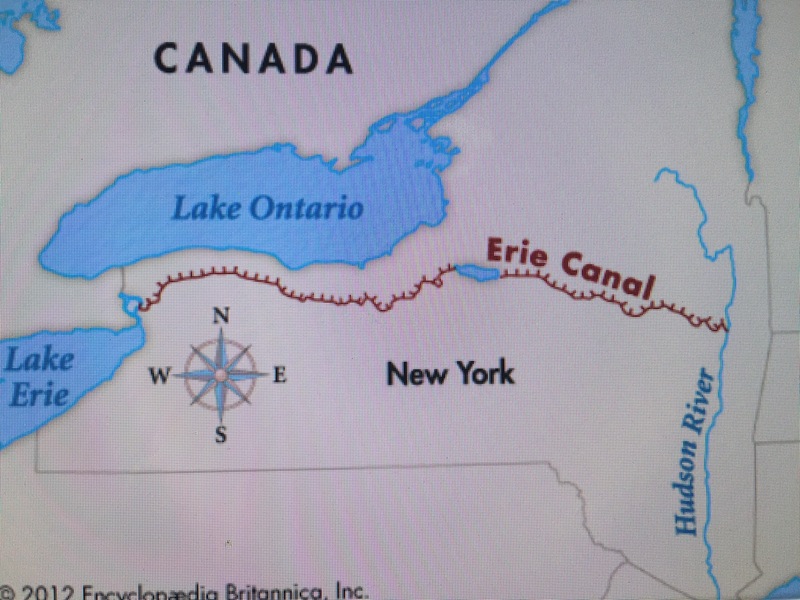 The Erie Canal in turn would channel the water from Niagara into the Hudson River and out into the Atlantic Ocean near New York City. 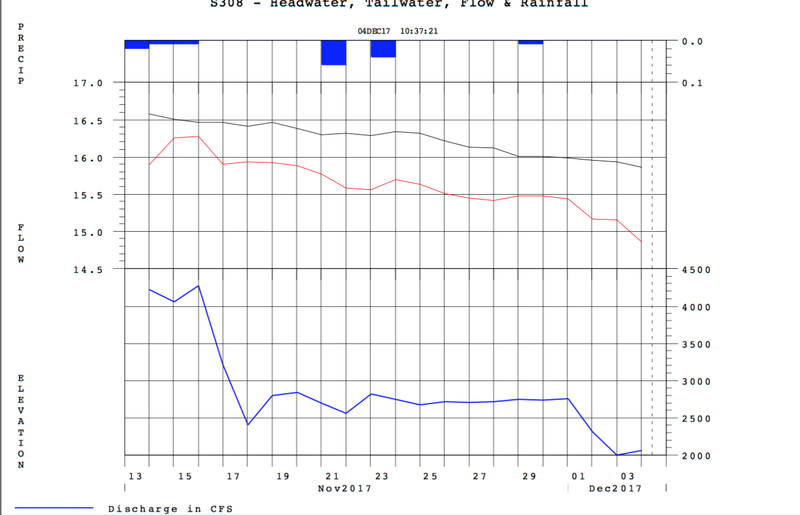 Unfortunately the voluminous discharge of polluted freshwater from the Lake would do two things. 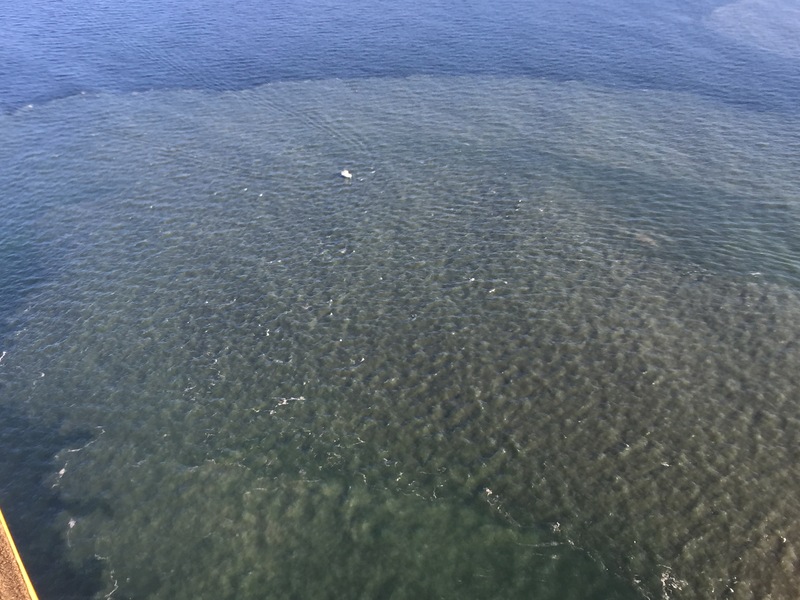 First, the blue green bacteria would thrive as the discharge water slowed and became semi-stagnant in the estuaries and coastal regions around Manhattan during the summer. Secondly, the marine wildlife would be severely impacted due to the drastic reduction in salinities by mixing with freshwater. This would lead to the mass death of marine life, together with animals and plants that thrive in marginal marine and brackish environments such as oysters and clams. Millions of New Yorkers and those in adjacent areas would become enraged because the grape and fruit growers in the Niagara Gorge Agricultural Area have caused all this in the first place, due to their insistence on the change of land usage. Meanwhile, the farmers in the newly established Niagara Gorge Agricultural Area are thriving and unaffected by these changes, and blame the towns and cities for inadequate sewage treatment and leaky septic tanks. Of course, all this is nonsense and absurd – a figment of my imagination. It wouldn’t happen in real life, would it? No one could be that inept or uncaring – or could they? The chances of such a catastrophe happening in real life are very slim in the Niagara region. 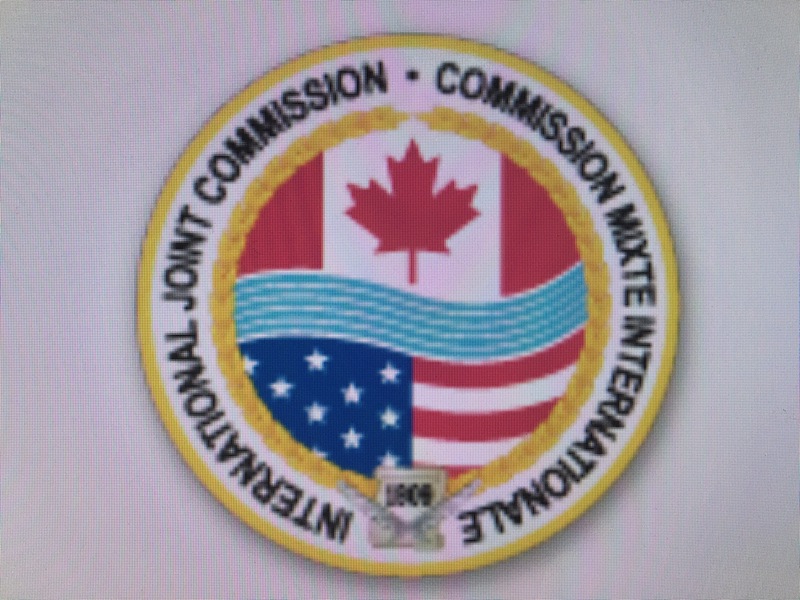 Any move by a special interest group planning to monopolize a Great Lakes’ resource would come under the immediate scrutiny the International Joint Commission. In all likelihood they would jump on such a rapacious scheme like a ton of bricks and it would never see the light of day. 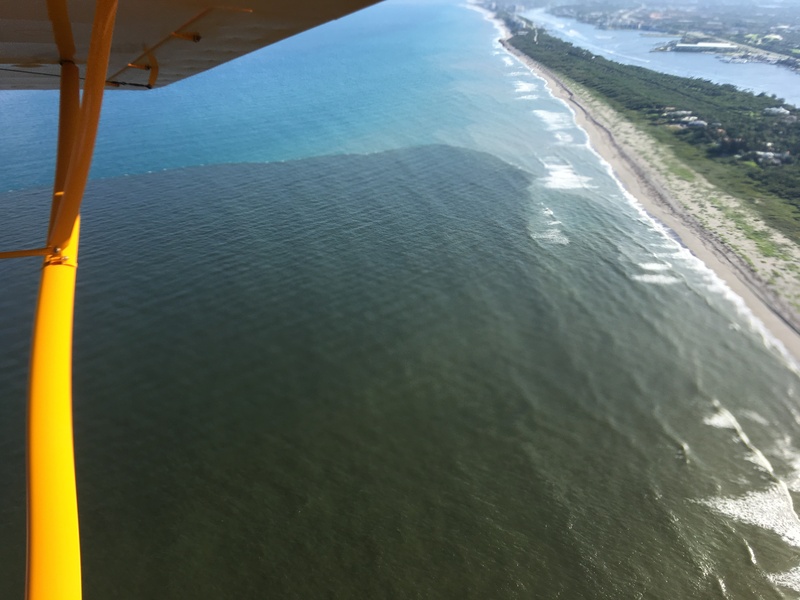 It’s a great pity that the people of Florida don’t have an equivalent body with overarching responsibility for maintaining the quality of Florida waters for all Floridians. 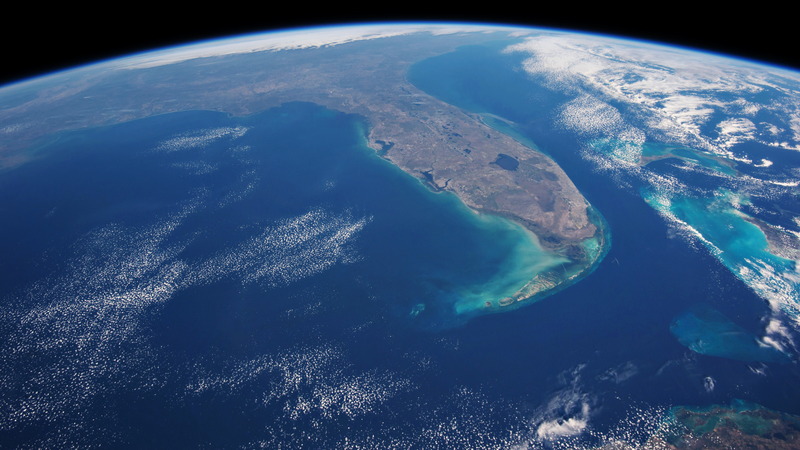 Unfortunately, sensible planning initiatives over the decades have been circumvented, and most state politicians have been incapable or reluctant to fund policies directed towards protecting Florida’s water resources. 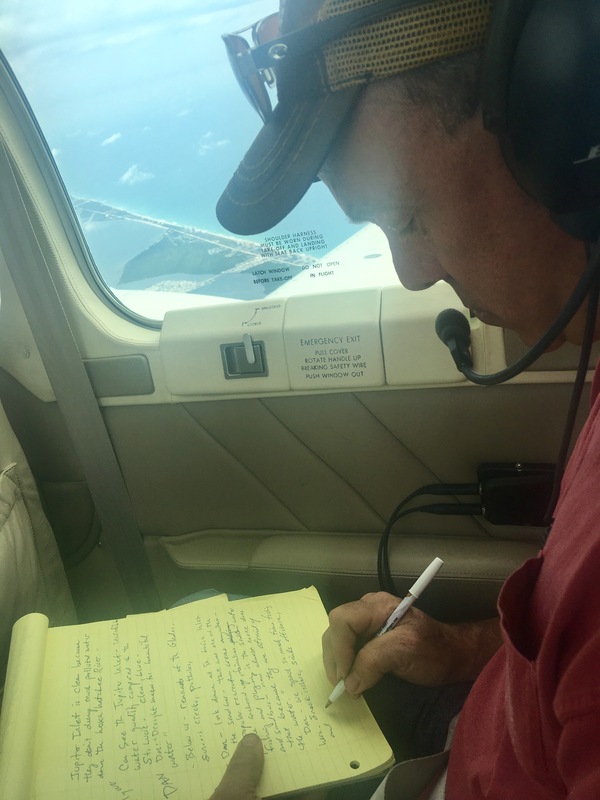 It is a dismal story of failure to protect Florida’s natural resources, and continues to be fueled by campaign contributions from Big Sugar to Tallahassee. 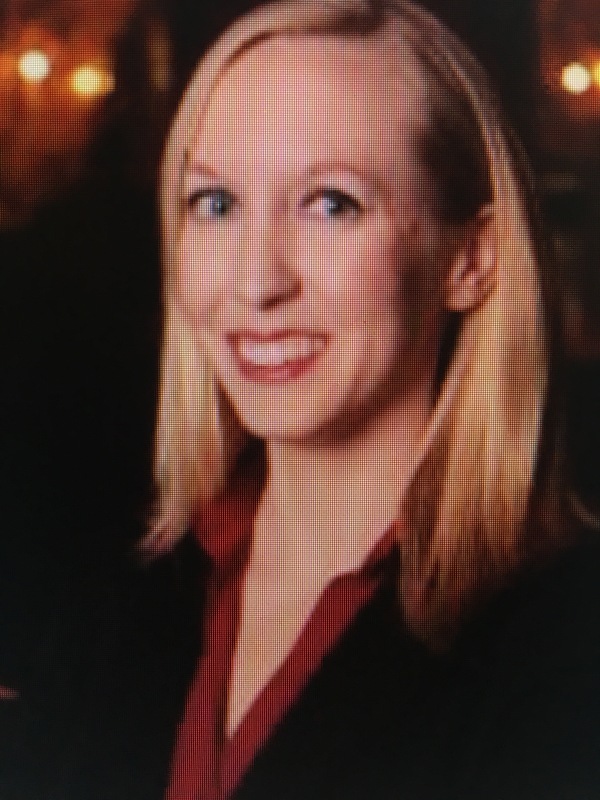 The more-than-century-long story has been insightfully summarized recently by Jaclyn Blair, a law student at Florida Coastal Law School, Jacksonville, graduating this year (2017) as Juris Doctor. It is recommended reading for anyone wanting to understand the various parts played by corporate interests, citizens concerns, politicians, policies, legalities, and constitutional amendments regarding the destruction of Florida’s natural resources. In 2017 the question is still valid. “OUR MISSION: To manage and protect water resources of the region by balancing and improving flood control, water supply, water quality and natural systems. 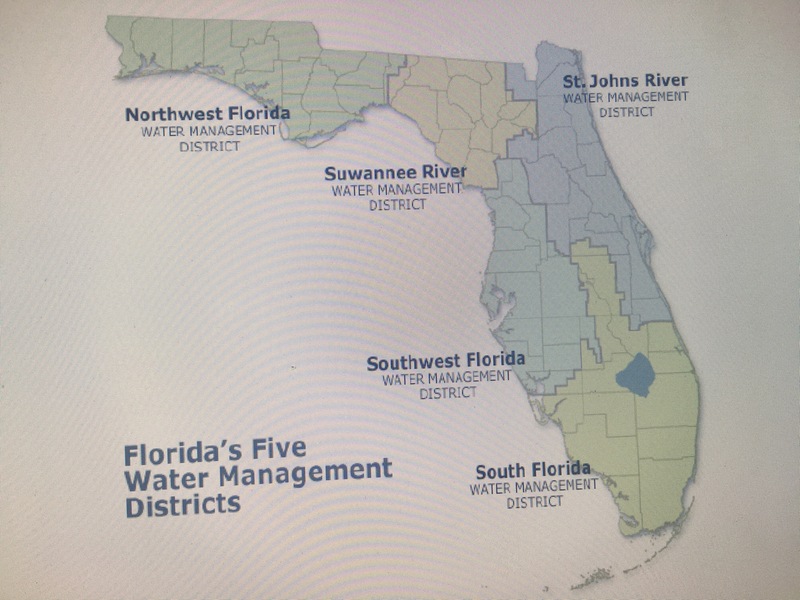 The South Florida Water Management District is a regional governmental agency that manages the water resources in the southern half of the state, covering 16 counties from Orlando to the Florida Keys and serving a population of 8.1 million residents. It is the oldest and largest of the state’s five water management districts. Created in 1949, the agency is responsible for managing and protecting water resources of South Florida by balancing and improving flood control, water supply, water quality and natural systems. Now, let’s take a look at Lake Okeechobee’s basic statistics. It is 730 square miles in area (about 36×29 miles in longest dimensions), very shallow with an average depth of about 9 feet, varies from about 12 ft to 18 ft above sea level, and has a total volume of water of about 1 cubic mile (for comparison, Lake Erie is more than 100 times greater in volume but only about 13 times larger in water surface area). Lake Okeechobee is the largest lake in the contiguous United States, outside the Great Lakes. Until about 1930, the lake had a natural outflow about 25 miles wide on its south side allowing water to enter the Everglades system. From about 1930 to 1960 a dirt dam was progressively built, 143 miles in length, and extended all around the Lake as the Herbert Hoover Dike. 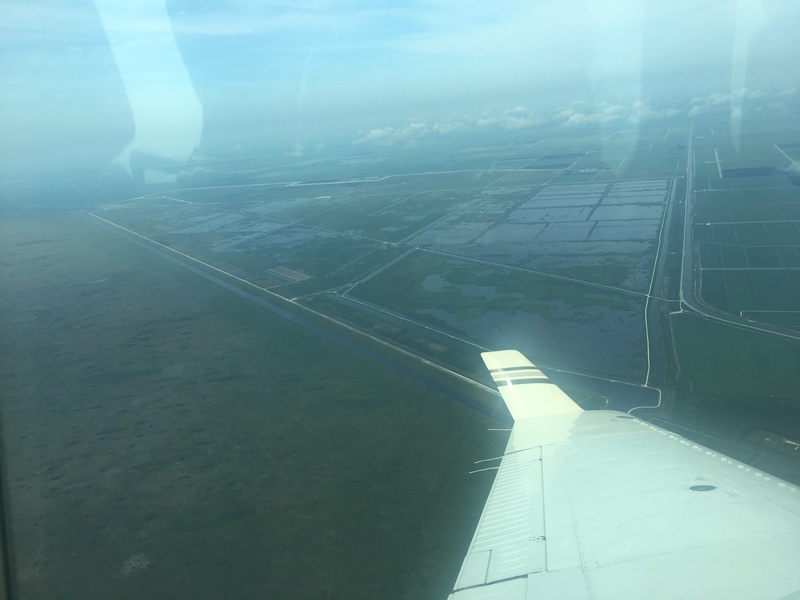 This converted Lake Okeechobee from a dynamic system of seasonal inflow and outflow into a semi-stagnant reservoir, with emergency releases of overflow water into canals discharging east and west into the Atlantic Ocean or the Gulf of Mexico, along heavily populated coastal areas. SFWMD has scientists and engineers working on various aspects of water quality in south Florida, including Lake Okeechobee. For more than half a century, the Lake Managers have been collecting information on water quality such as water chemistry, amounts of phosphorus and nitrogen, temperature, turbidity, and so on. 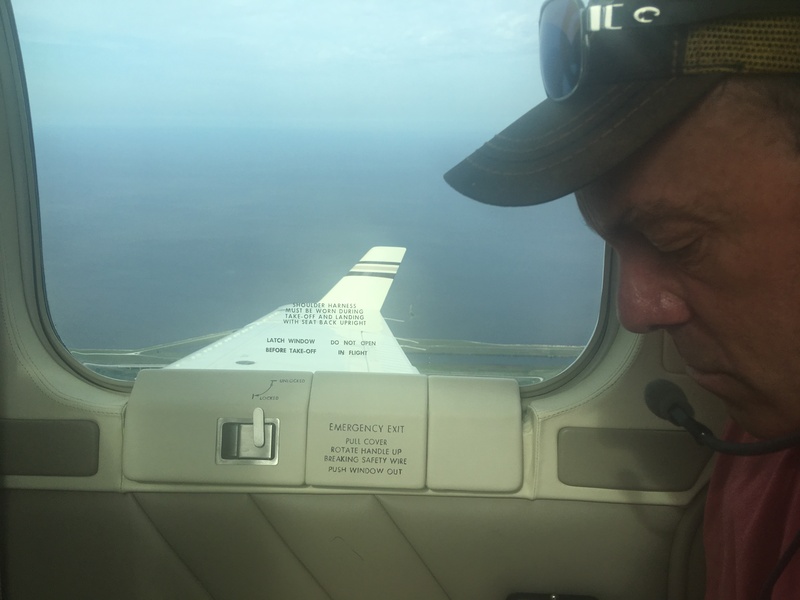 That, of course, is their job as a management agency, and each year they and their contractors collect more than a quarter million samples for analysis, many from Lake Okeechobee. In addition, NOAA has a weather station on the southern rim of the lake and these meteorological data can be integrated with the Managers’ observations on lake water. This is really important information. However, their attention to details of biological data seems to be less precise. Their definitions of bloom formation is based, generally, on the amount of a particular type of chlorophyll extracted from water samples, rather than information on the number and concentration of particular types of bacteria or algae. 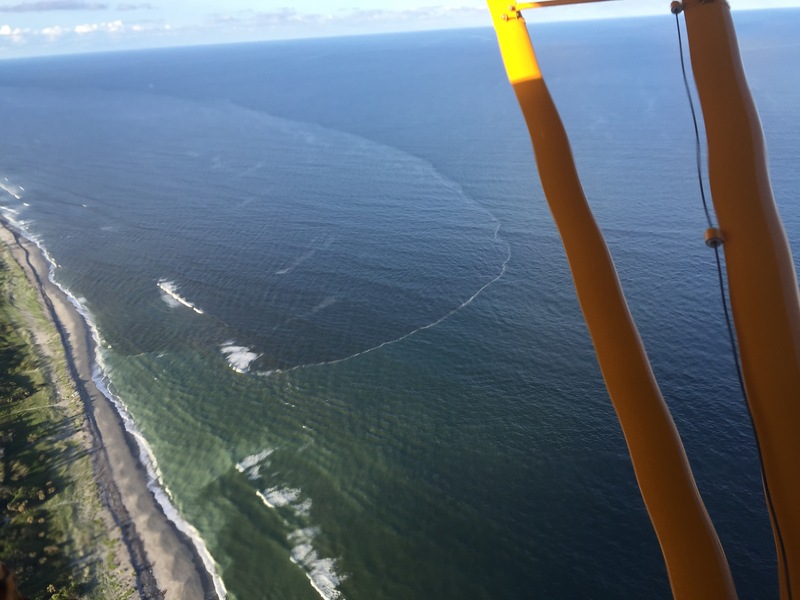 Nevertheless their information is important, and the Lake Manager’s scientific staff have produced many significant reports analyzing these data to try to explain why bacterial blooms form in the waters of Lake Okeechobee. 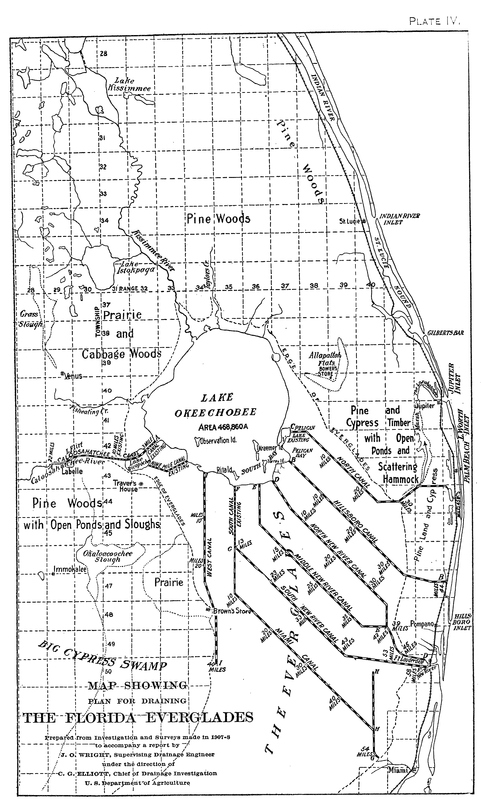 Of first rank importance was the assessment by the Lake Manager’s scientists that Lake Okeechobee was eutrophicating, that is becoming enriched in dissolved nutrients (such as phosphates) that stimulate the growth of aquatic plant life usually resulting in the depletion of dissolved oxygen. 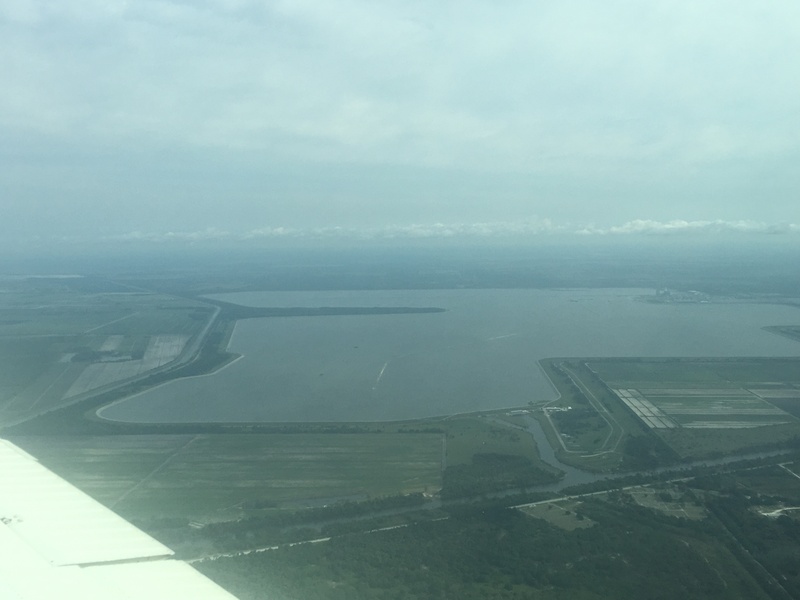 Another report by the Lake Manager’s scientists documented the continuing increase and doubling of total phosphorus in the Lake between 1973 and 1984. Fluctuating lake levels and/or resuspension of soft bottom muds my have been involved in the increase. However other studies drew attention to the burgeoning intensive dairy and beef cattle industries to the north, starting in the 1950s, providing nutrients from agricultural run-off flowing down the Kissimmee River into Lake Okeechobee, together with nutrients entering the Lake system from the sugar cane industry to the south of the Lake, often by back-pumping. 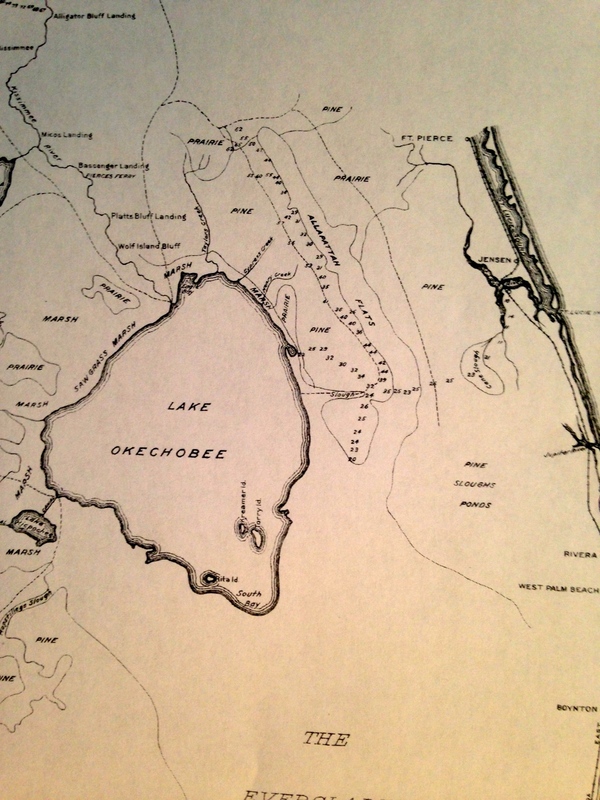 Other scientists employed by the Lake Manager attempted calculations to balance the amount of phosphorus flowing from the Kissimmee River into the Lake from the cattle farms to the north, compared with the amount being discharged principally through the St Lucie and Caloosahatchee Canals to the east and west. Their numbers suggested that between 1973 and 2002, each year on average almost 300 tons of phosphorus ended up sinking to the bottom of the Lake. In the early 2000s the situation had reached crisis proportions because the bottom sediments in the Lake had become thoroughly saturated with phosphorus. Any further phosphorus would not have bonded firmly to the bottom sediments but would be available in the lake water for biological activity. In other words, eutrophication was predicted to become much worse, which meant more organisms growing in the lake waters. 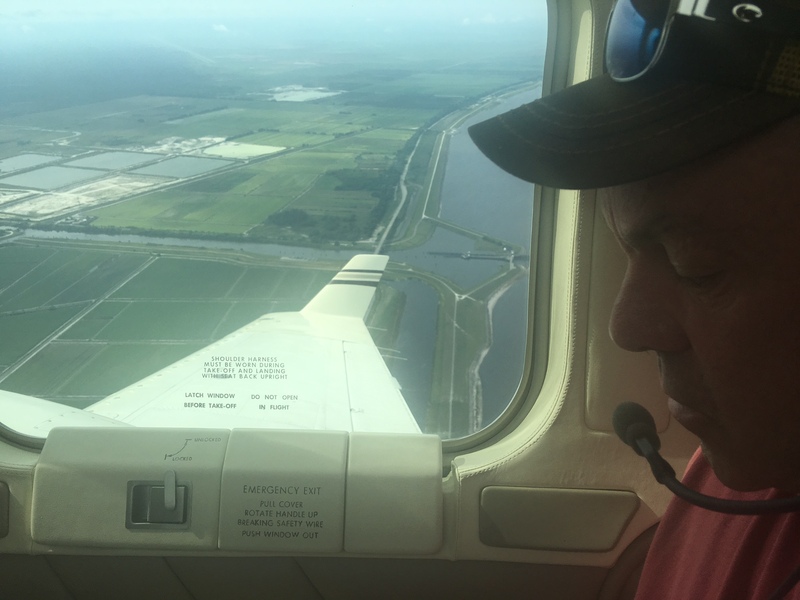 Other studies by the Lake Manager’s scientists looked at meteorological information from NOAA and discerned a complex inter-relationship between wind speed, rainfall, inflow from the Kissimmee River, and lake levels, apparently related to “algal” (i.e. bacterial) bloom formation (that is as judged by the amount of chlorophyll extracted from water samples). They also noted a steady increase in lake levels between 1972 and 1978. 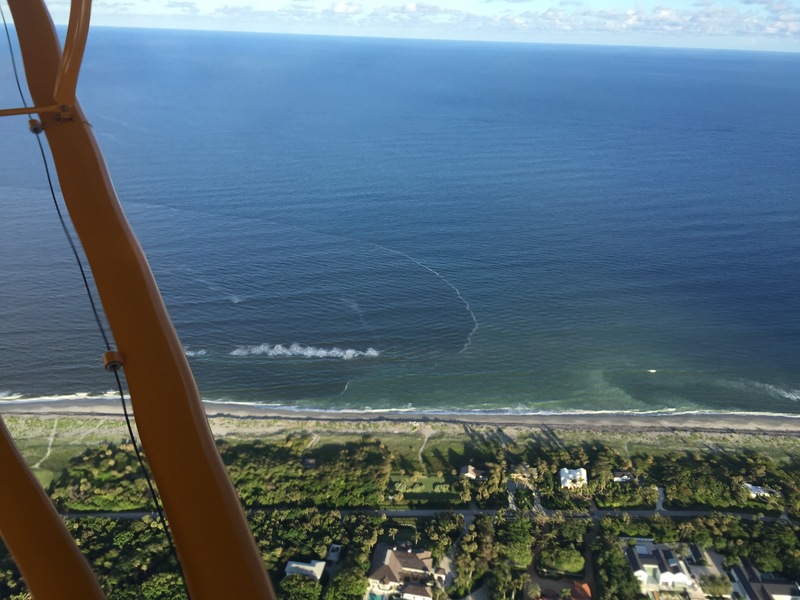 The maximum amount of algal/bacterial material occurred between May and September in calm summer months when the water temperature typically reaches into the mid-80s. 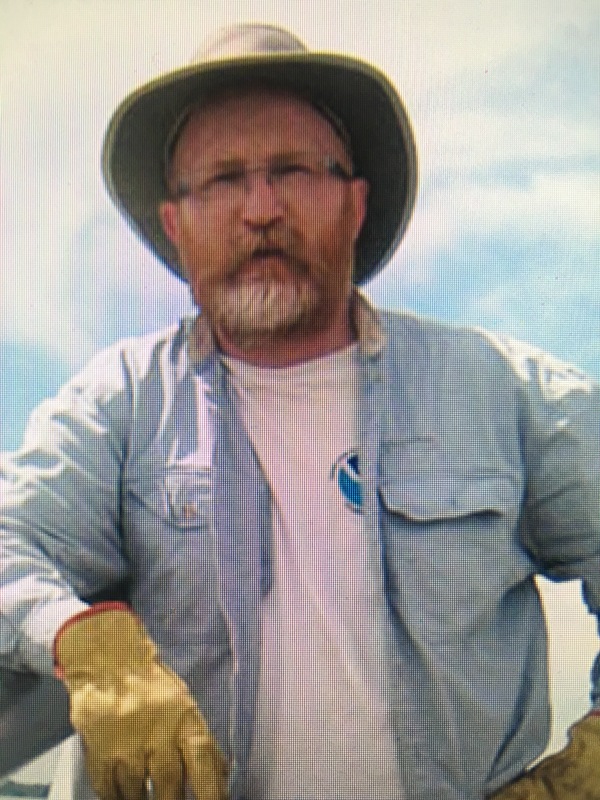 In 1994 Dr. P. Moore, a soil science researcher attached to the University of Arkansas and Prof. K.R. Reddy of the University of Florida came up with a new idea. It might not be just the lake water that was involved in bloom formation, but the sediments on the bottom of the lake might be implicated in promoting higher phosphorus levels, and particularly the extent of acidity and oxidation or reduction near the sediment-water interface. They arranged for scuba divers to swim down to the lake bottom with special plastic tubes to be pushed into the mud. The divers brought back several cores of the mud for analysis in the laboratory. What they found was that phosphorus can be released from the lake muds when the water mixing with the mud is reducing (i.e. little or no oxygen) and/or acidic, and particularly if iron oxides and iron hydroxides are also present. 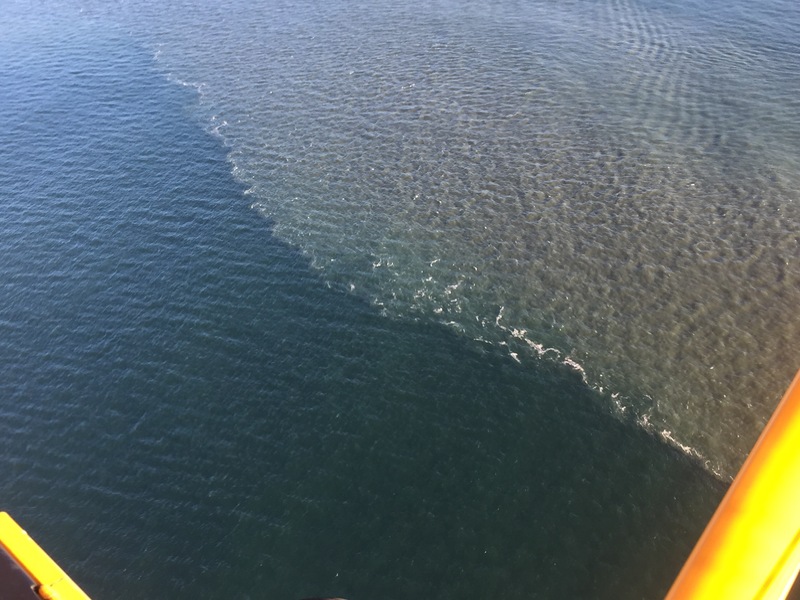 This is important in a shallow lake where wind can cause the water column to be mixed, bringing oxygen down to greater depths, which assists in retaining phosphorus in sediments. 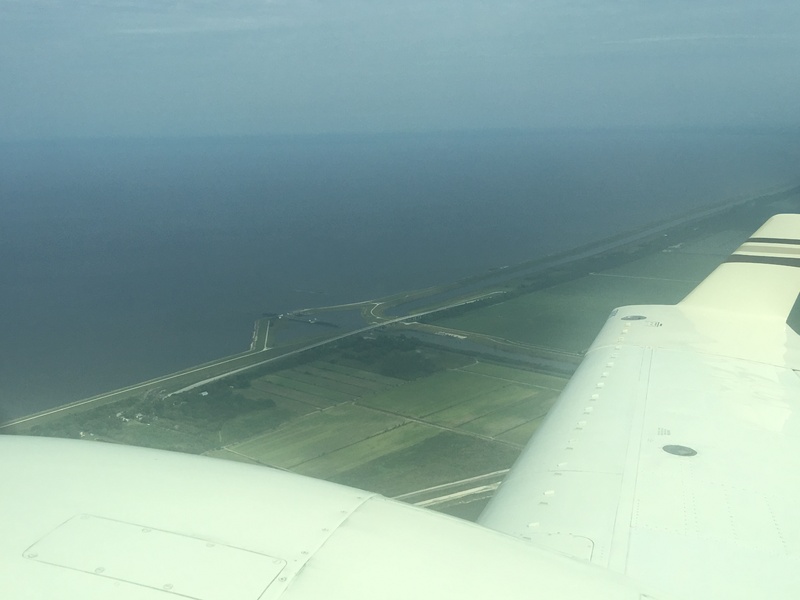 However, in the case of Lake Okeechobee, winds in the calm summer months tend to be minimal, and oxygen concentrations diminish at the lake bottom. Therefore, the reducing conditions help to release phosphorus in the water, just as the water temperatures increase optimally to 75-80 degrees F favoring the growth of bacteria. 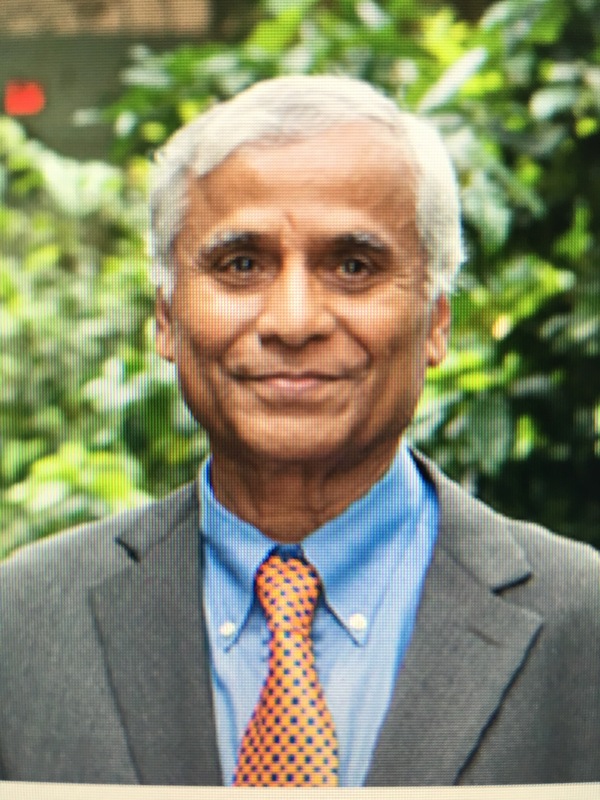 It’s interesting that Dr. Moore’s and Prof. Reddy’s observations about phosphorus release being favored by acid conditions and iron oxides/hydroxides parallels Prof. Spiese’s work on glyphosate in Ohio, which also implicates acidity and iron oxides and hydroxides in the release of phosphorus from cultivated fields and the growth of blue-green bacterial blooms in lakes. Maybe something similar is happening in Lake Okeechobee and surrounding cultivated land. 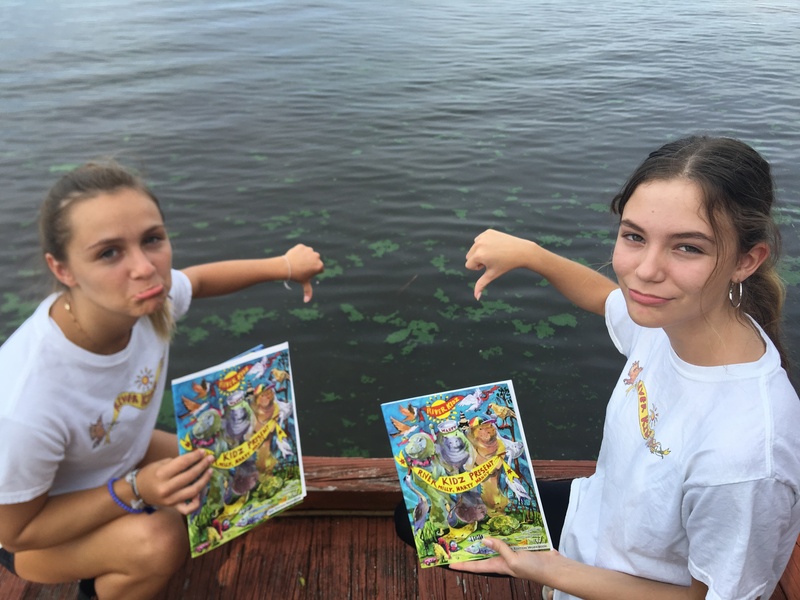 Well, is glyphosate really present in Lake Okeechobee? 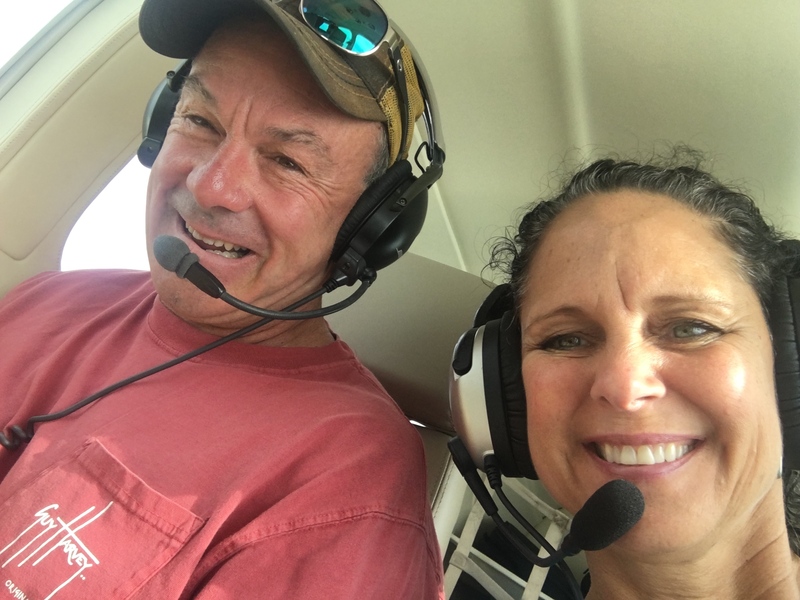 I searched the Lake Manager’s website and noted that as early as 2000 glyphosate was being used to exterminate several thousand acres of cattails in and around the lake by aerial spraying. 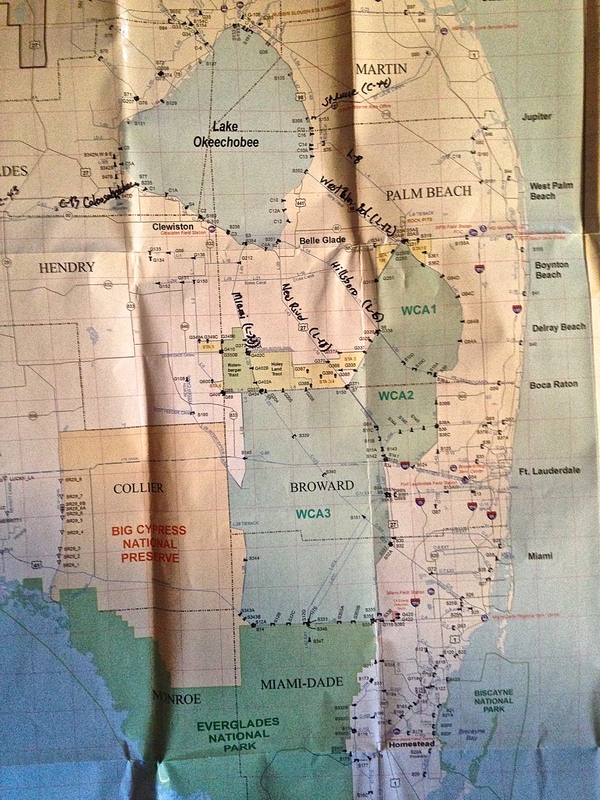 In addition, the agricultural areas around Lake Okeechobee and in the Kissimmee River watershed are awash with glyphosate, and the farmers appear to have been enthusiastic users since the early 1990s according to the U.S. Geological Survey, whose maps are reproduced below (one for 1992 and another for 2014, but there are others for the in between years). 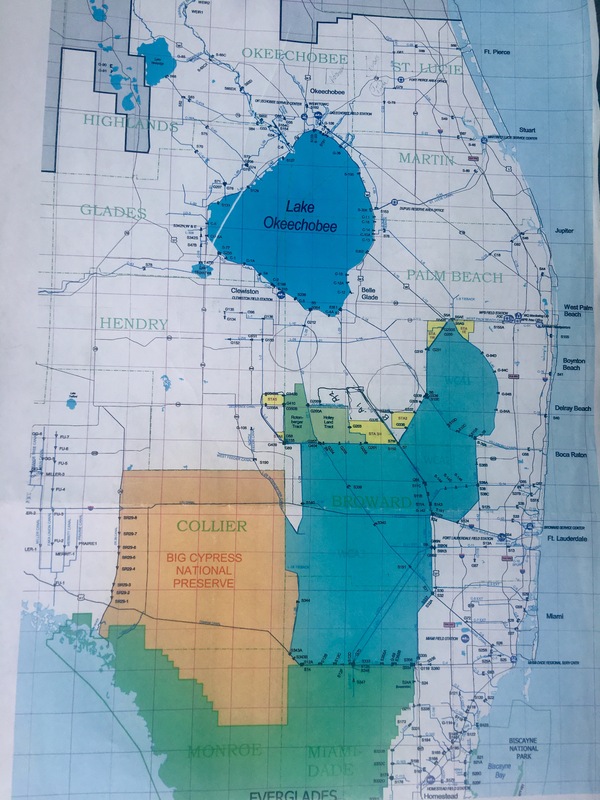 The Corps of Engineers shall chair, and actively solicit participation in the Lake Okeechobee Aquatic Plant Management Interagency Task Force. 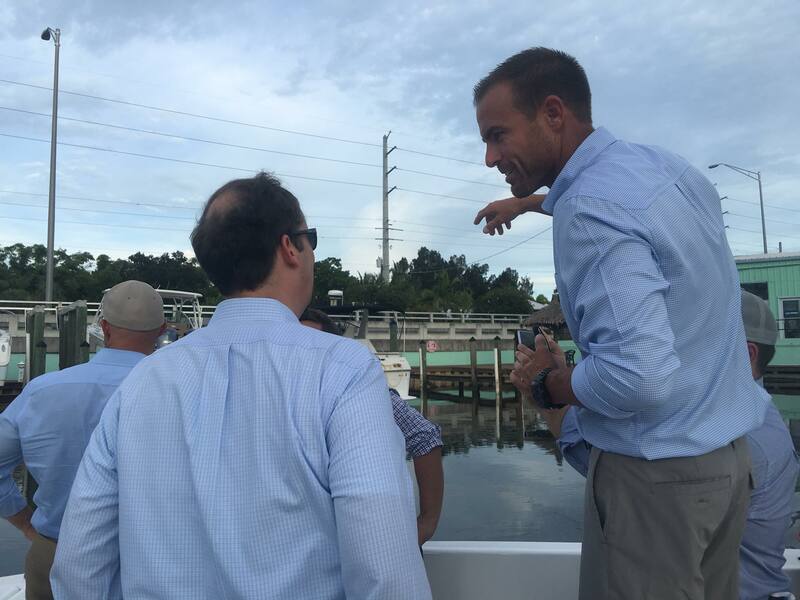 The Task Force members will represent State of Florida agencies (including the Florida Fish and Wildlife Conservation Commission and the South Florida Water Management District), state Universities, the Corps of Engineers, and other Federal agencies. The Task Force will serve in an advisory capacity, providing multi-disciplinary technical and scientific data from which the Corps’ aquatic plant management strategy, methodology, and research planning and operational efforts will evolve. The focus of the aquatic plant effort will be to benefit the overall ecological health of Lake Okeechobee. 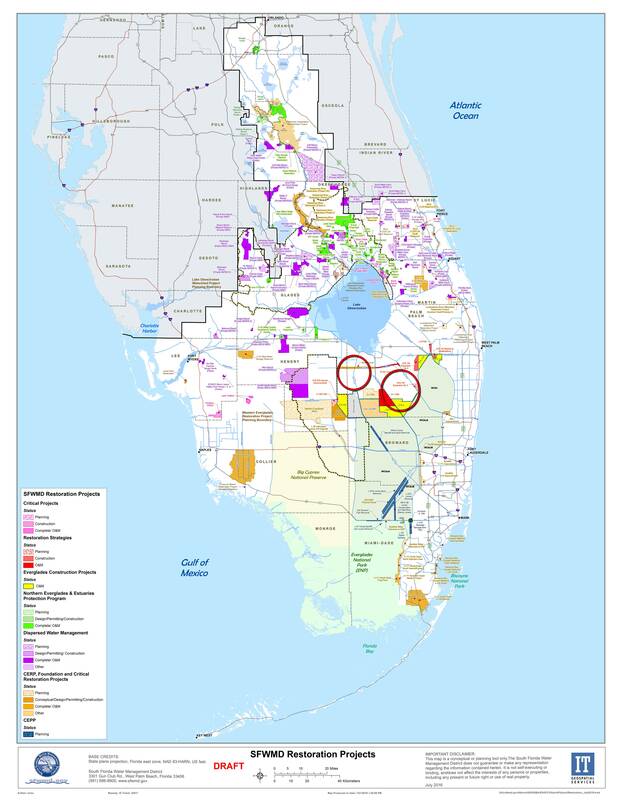 So now it seems that there are two lake managers: The US army Corps of Engineers on the one hand, and the South Florida Water Management District on the other. 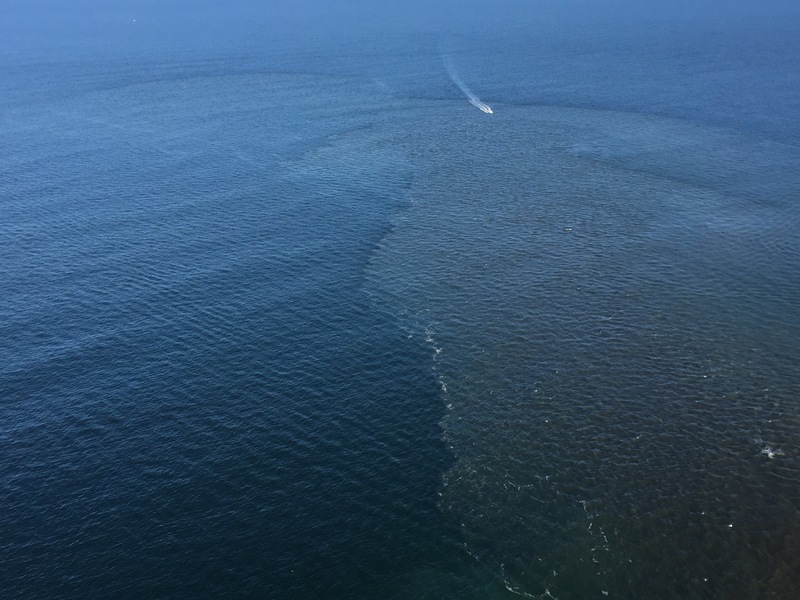 The Army Corps of Engineers, as well as having absolute authority to open the floodgates for Lake Okeechobee whenever it deems this necessary, has also now got control of the program to exterminate various aquatic plant species by use of powerful herbicides. Is this a matter of too many chiefs and not enough Indians? The Mission of the Army Corps of Engineers is clear: The U.S. Army Corps of Engineer’s mission is to provide vital public engineering services in peace and war to strengthen our Nation’s security, energize the economy, and reduce risks from disasters. Their Vision is equally clear “Engineering solutions for our Nation’s toughest challenges.” Their Motto is clear “Building Strong”. The potential conflict between the two Managers (ACE on the one hand, SFWMD on the other) needs to be rationalized and sorted out to achieve sensible results. 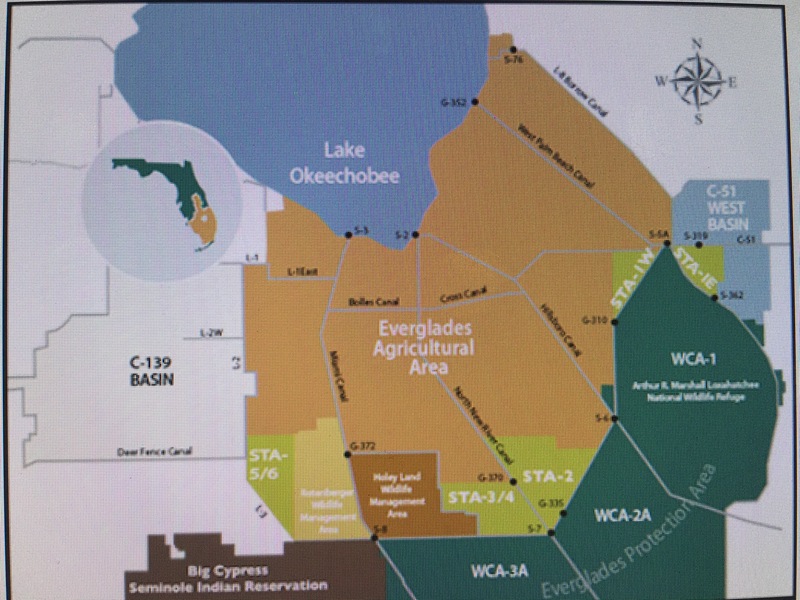 The presence of glyphosate is highly probable from farming activities around and upstream from Lake Okeechobee. It has already been noted that glyphosate may stimulate blue-green bacterial growth, and that the cloning by natural selection of glyphosate-resistant strains is also possible. The Lake Managers have yet to come up with an up-to-date, complete analysis of Lake Okeechobee waters, showing how much herbicide is present – at least I have not been able to find it on their websites or other relevant publications – and how many toxins such as microcystin have been detected on a routine basis. Surely the public has a right to know this vital information. 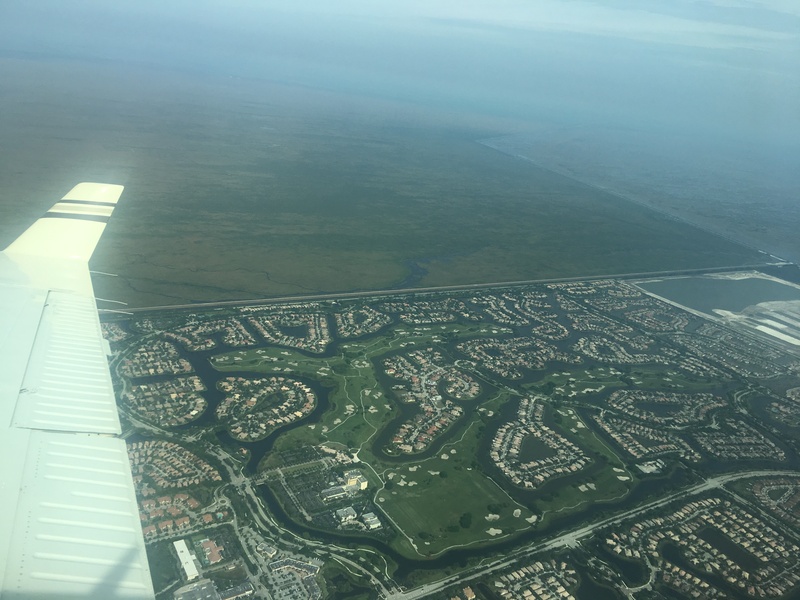 Well the problem is that the water in Lake Okeechobee generally does not go anywhere, or not where it is meant to be, that is into the southern Everglades. 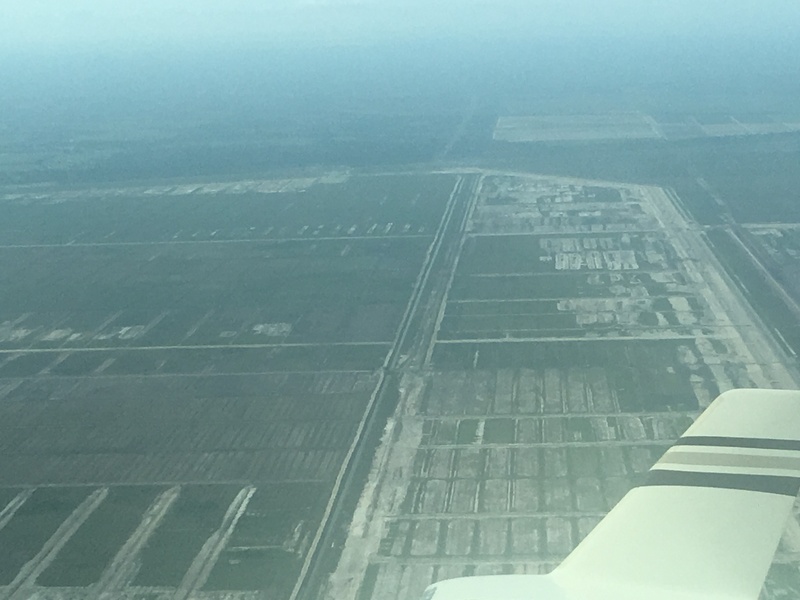 The various planning decisions and missteps over the years have converted Lake Okeechobee into a vast semi-static reservoir. 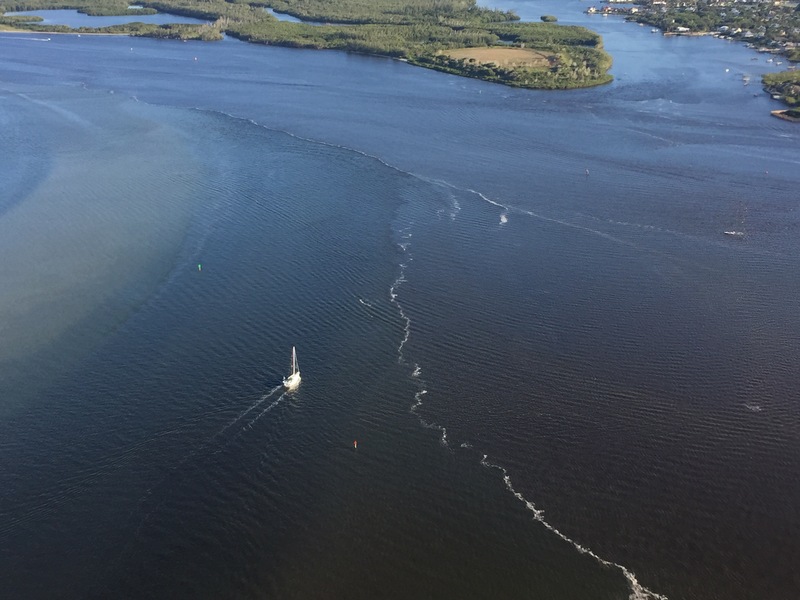 From time to time it gets overfull, even with an enlarged dike, and great volumes of water have to be released by the Army Corps of Engineers to the St Lucie River and the Caloosahatchee Rivers with dire results. An impressive report appeared in 2015 by a team of experts headed up Prof. Wendy Graham of the Water Institute of the University of Florida. 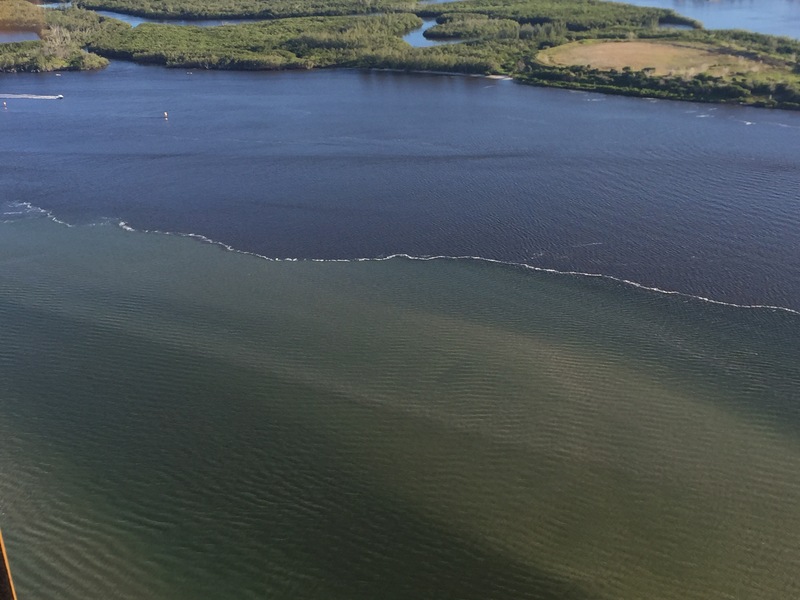 The title of the report says it all: “Options to Reduce High Volume Freshwater Flows to the St. Lucie and Caloosahatchee Estuaries and Move More Water from Lake Okeechobee to the Southern Everglades. 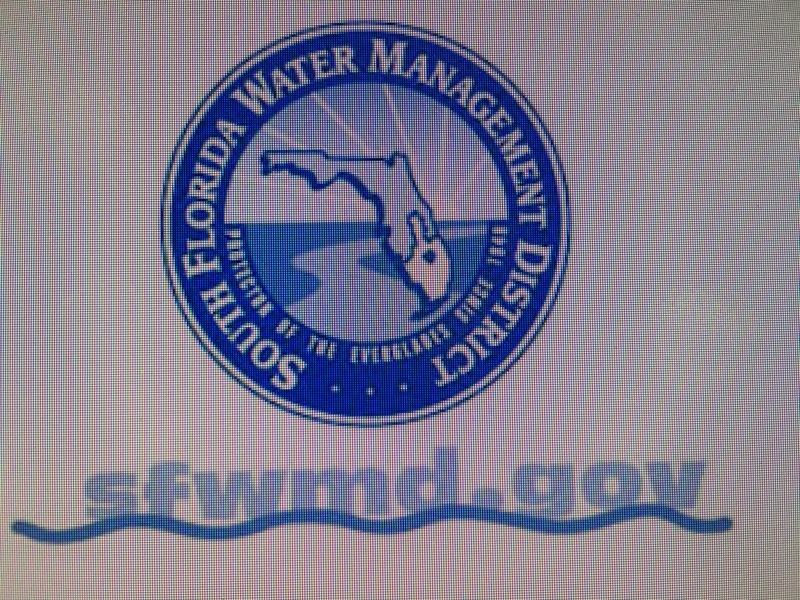 An Independent Technical Review by the University of Florida Water Institute”. It is a very detailed and comprehensive report and well worth reading because it was produced independently at arm’s length from the politicians, and it is for the most part written in plain and comprehensible language. It discusses many options to solve the problem and to start getting the lake water back down to the southern Everglades. To my mind, the key thing is to include bio-cleaning and remediation of the lake water before it passes south too far down the Everglades system. Constructed wetlands for water treatment have been in use since the mid-1950s, including several system using cattails, reeds, and other aquatic plants to remove such things as nitrogen, phosphorus, and other pollutants from waste water. 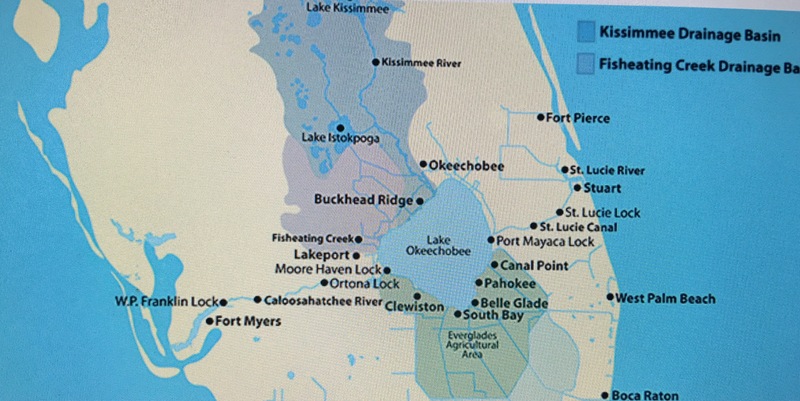 Such systems could be utilized to good effect in the reservoirs anticipated in areas south of Lake Okeechobee, in effect being “reconstructed wetlands” in place of the former sawgrass plains. 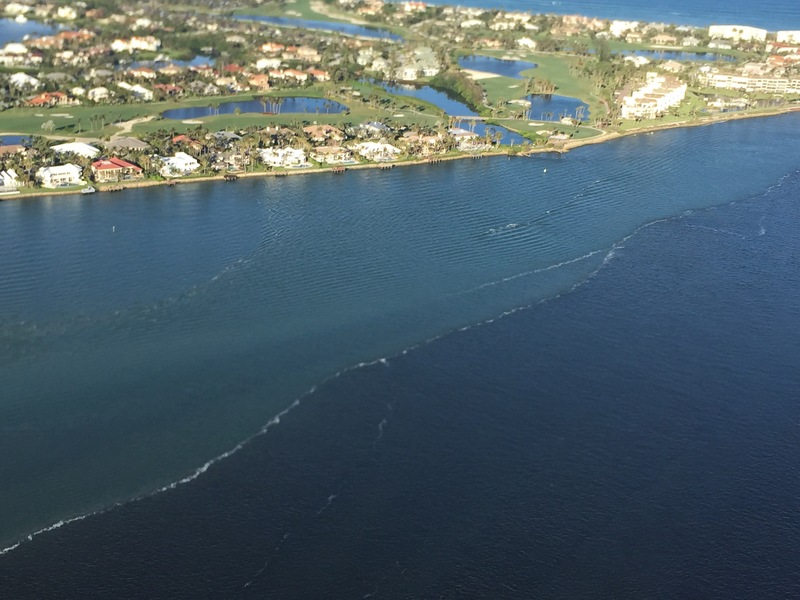 To its credit, the South Florida Water Management District has constructed several large wetlands called Stormwater Treatment Areas, which are designed to remove excess phosphorus and other nutrients from waters immediately north of the Everglades Protection Area. One of them in western Palm Beach County STA-3/4) is the largest constructed wetland in the world. Well, all the above makes for pretty dismal reading for the most part. But there are several rays of sunshine cutting through the mess that has been created to suggest that all is not lost. Up in Lake Erie there’s a lot of activity on both sides of the border in reconstructing wetlands to replace those lost to drainage and infill schemes over the last century. New treatments are being invented to remove phosphorus and other pollutants from the run-off water before it hits the lake. Some of the links below will lead you to more details. Down in Lake Okeechobee, the South Florida Water Management District is showing the world how to build gigantic constructed wetlands as a start to cleaning up the Okeechobee water ultimately destined for the southern Everglades. And Florida’s politicians are now making major inroads into passing legislation to fund these schemes, such as Senator Joe Negron’s continuing efforts to get the state House and Senate to agree. 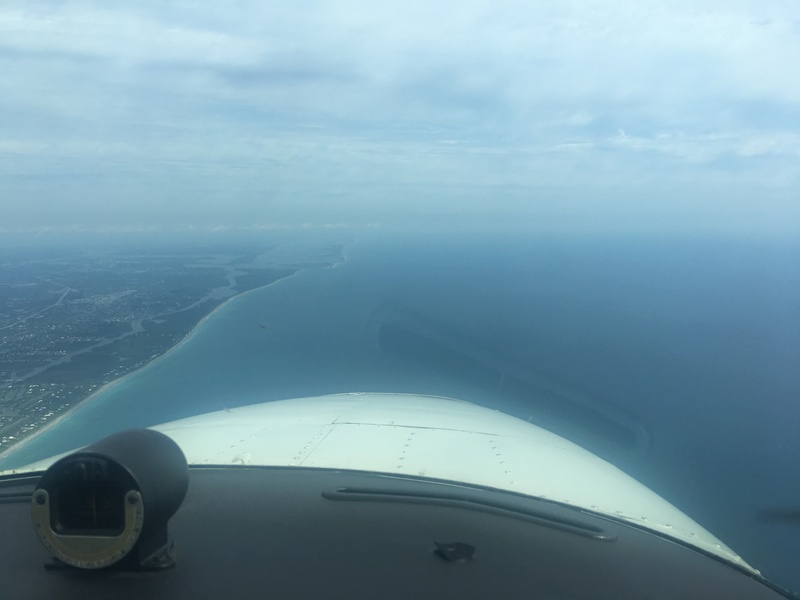 ​My husband’s flight yesterday over the Atlantic Ocean, St Lucie Inlet, and St Lucie River/Indian River Lagoon is beautiful. But look carefully and you will see a light-colored brownish plume at the mouth of the St Luice Inlet entering the ocean. Finally after months of drought, it has begun raining. 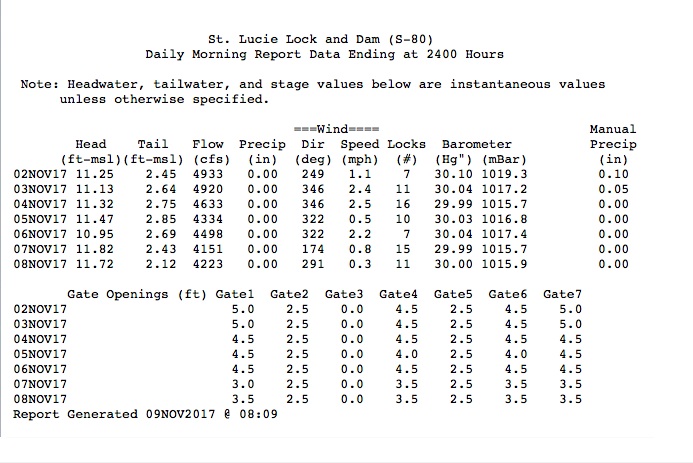 And when it rains… (mind you C-44 connecting the St Lucie River to Lake Okeechobee is closed now) the re-directed run-off of waters from canals C-23, and C-24 of course still flow into our St Luice River/Indian River Lagoon. These canals organized and built during the 1950s and 60s are part of the Central and South Florida Flood Project that the Army Corp built following the hurricane and extensive south Florida flooding of 1949. The run-off waters from these canals and the local watershed are what you see in today’s video. 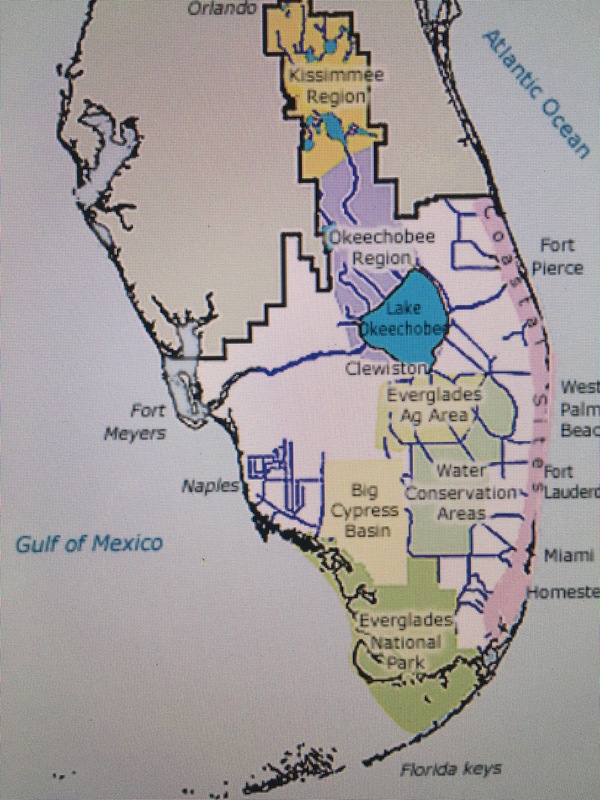 As damaging as C-23 and C-24 are (they too must be reworked and redirected) they are not the damaging discharges from Lake Okeechobee that throw the St Lucie over the brink as in 2013 and especially 2016 when toxic algae covered extensive portions of the entire St Lucie. 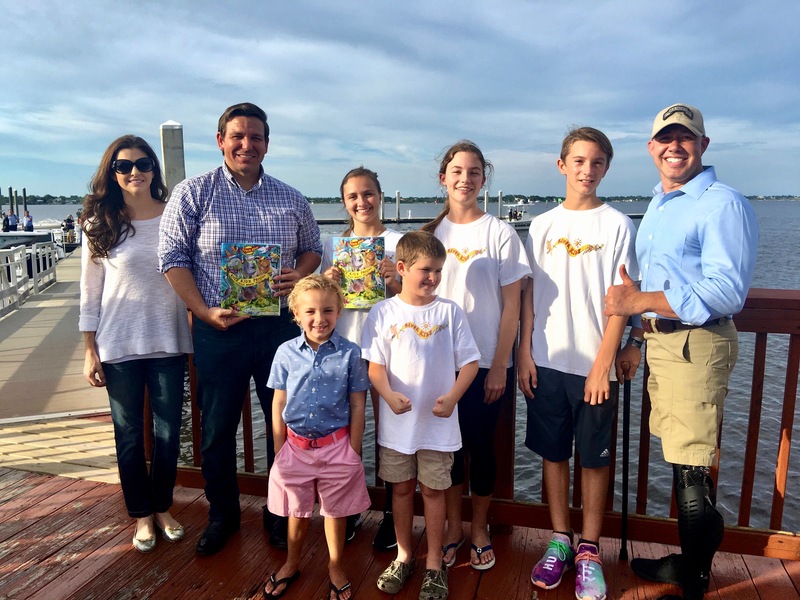 This is very exciting, but believe me, this is no time to let down your guard, as the fight for control of Florida’s waters has really just begun. Map SFWMD showing canals and basins. 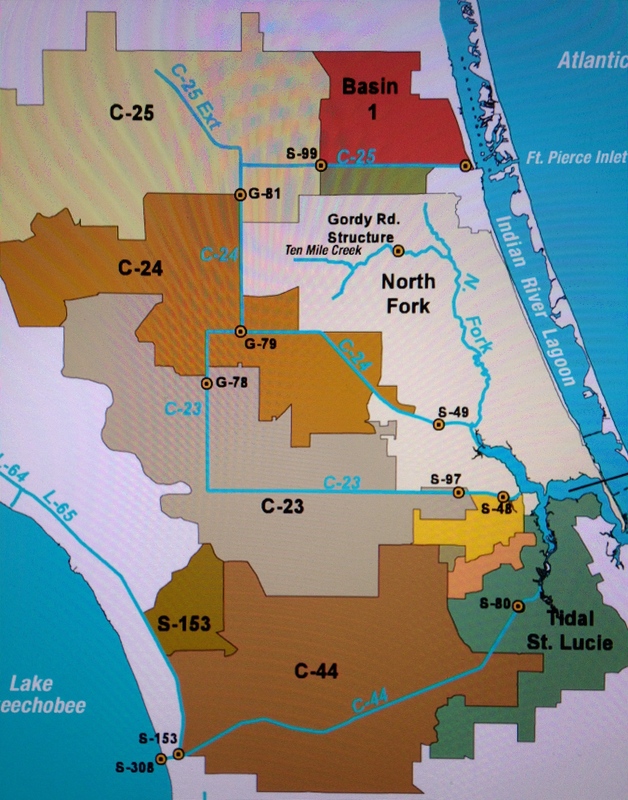 Note S-308 or structure s-308 at Lake O and S-80 down the C-44 canal AKA the St Lucie Canal. Both of these structures have to open to allow water to flow into the C-44 canal to the St Lucie River, Indian River Lagoon. All canals are destructive to the St Lucie/IRL yet it is C-44’s Lake O that puts the St Lucie system in complete and total overload. Slide 1. 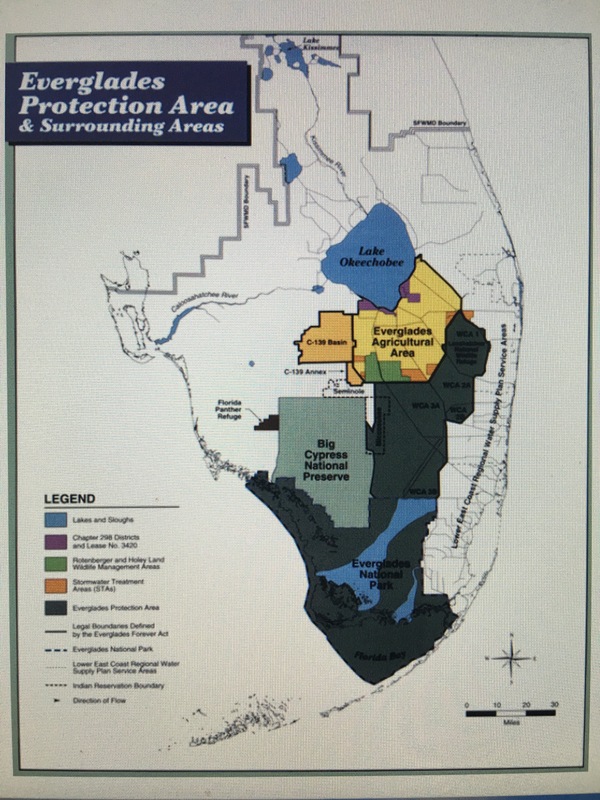 (Dr Thomas Van Lent, Everglades Foundation, 2015) Reservoir will be located below #1, A-2 area.